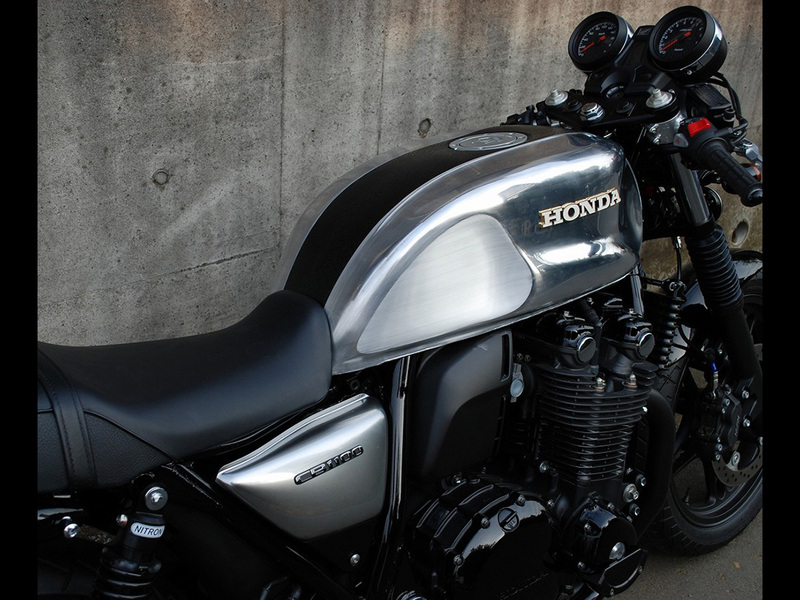 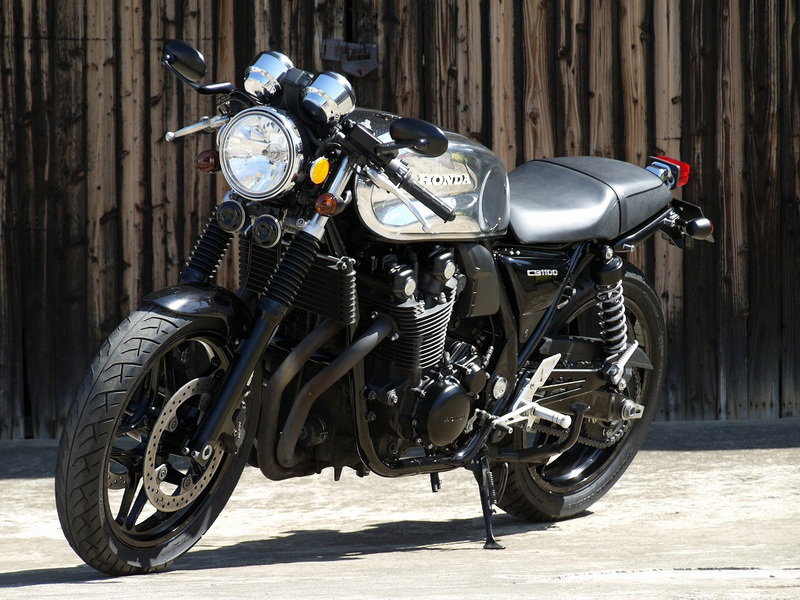 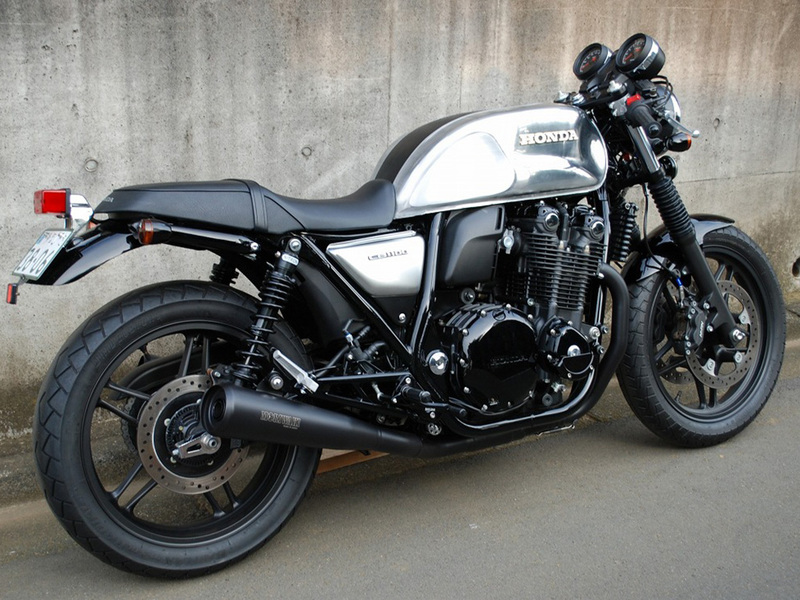 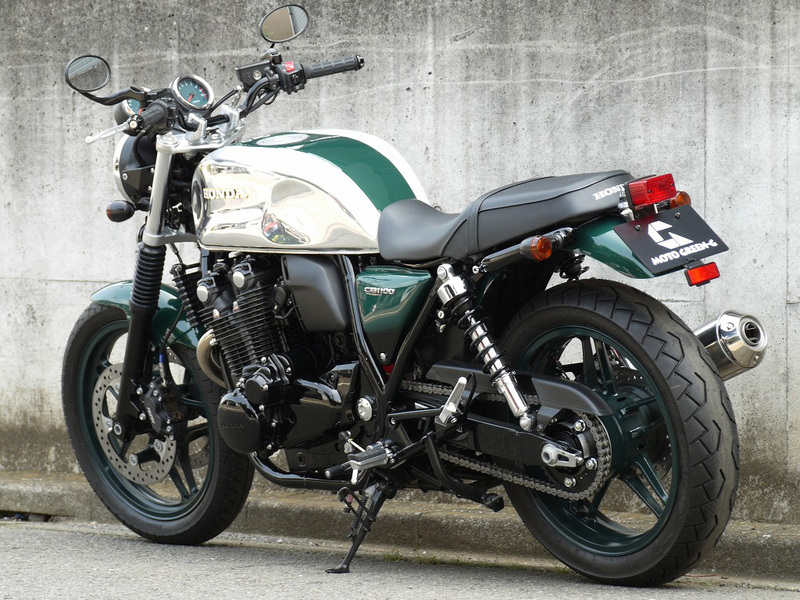 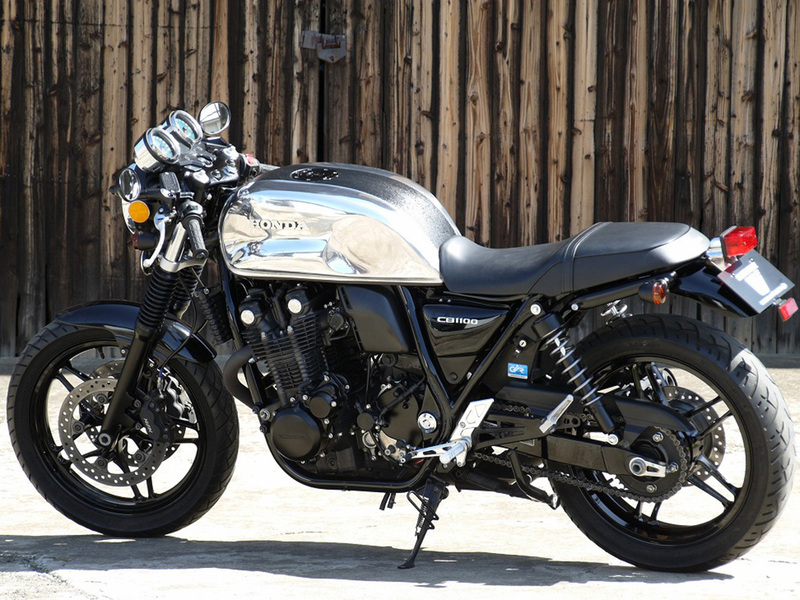 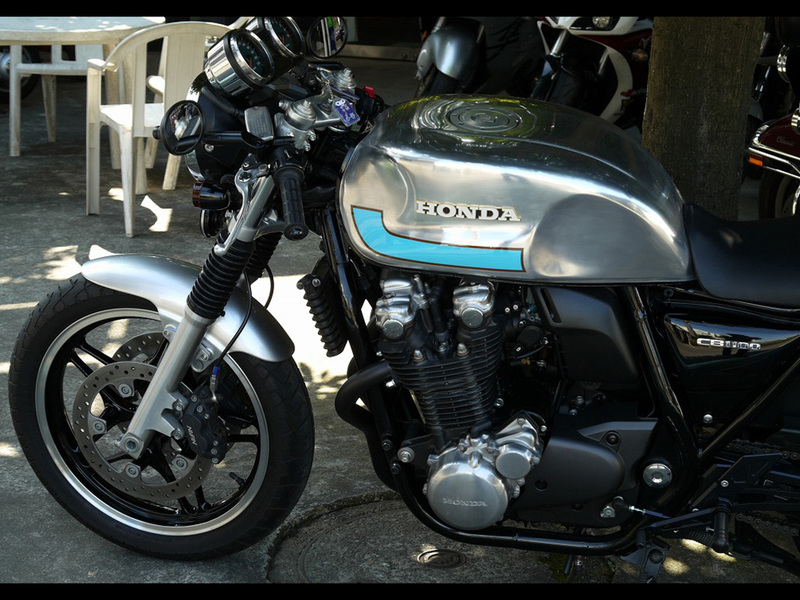 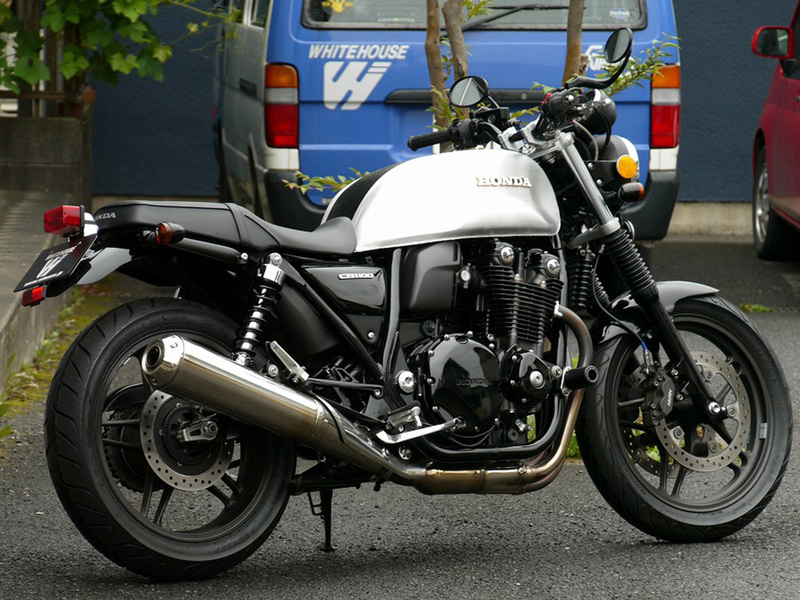 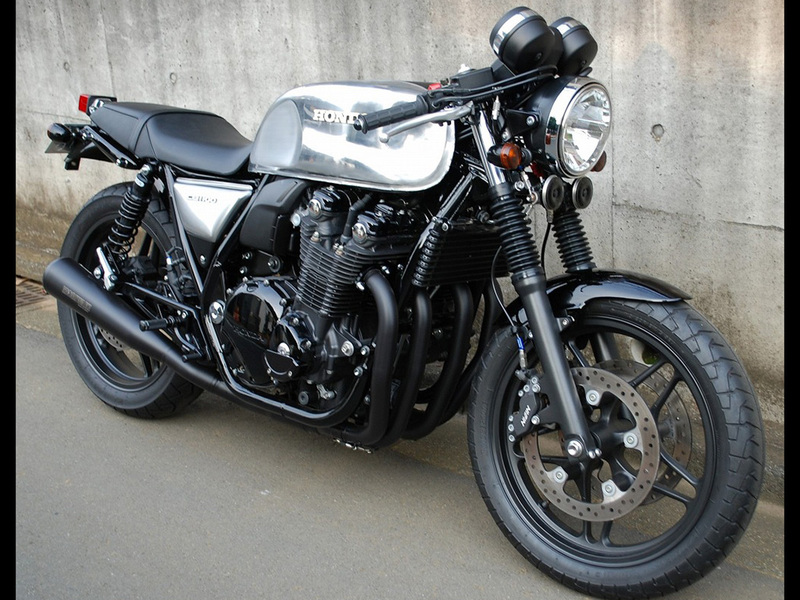 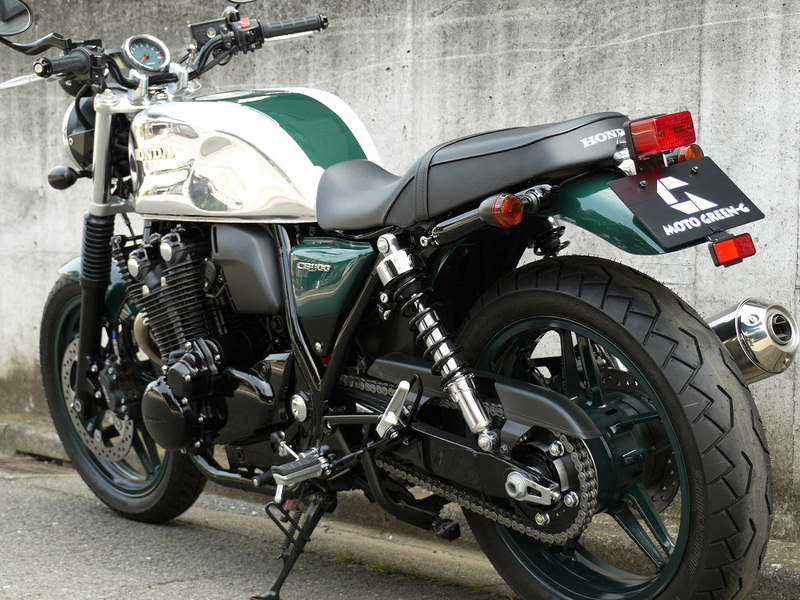 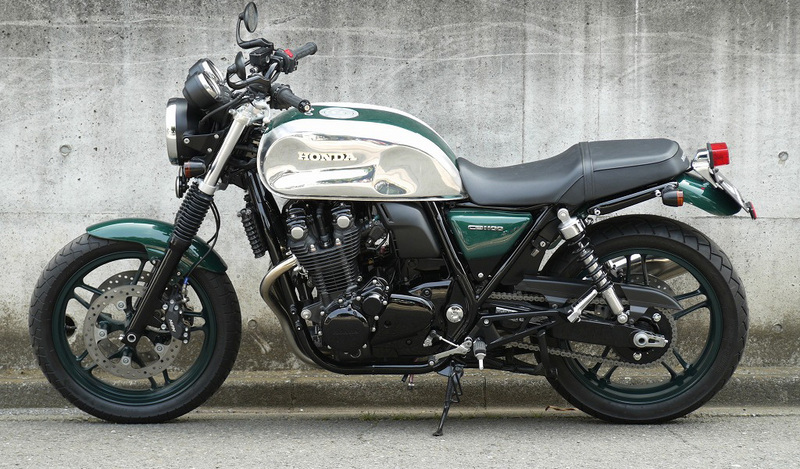 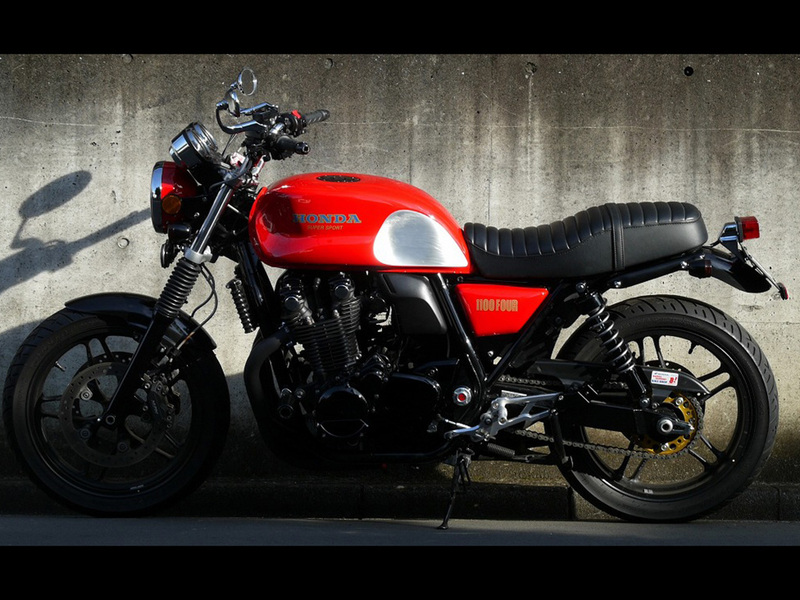 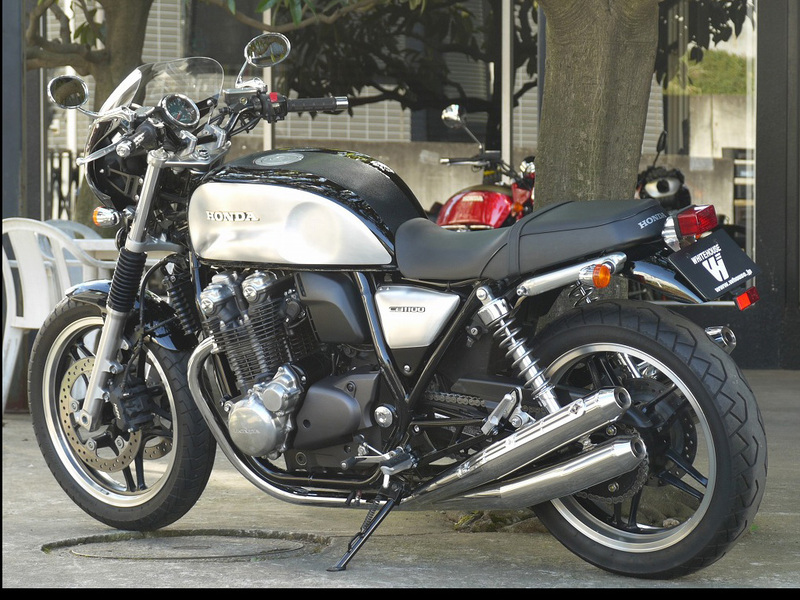 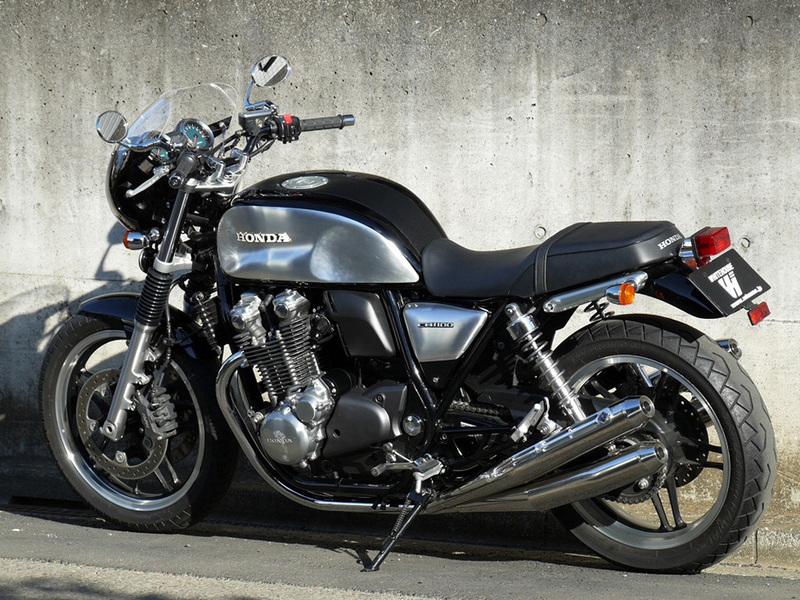 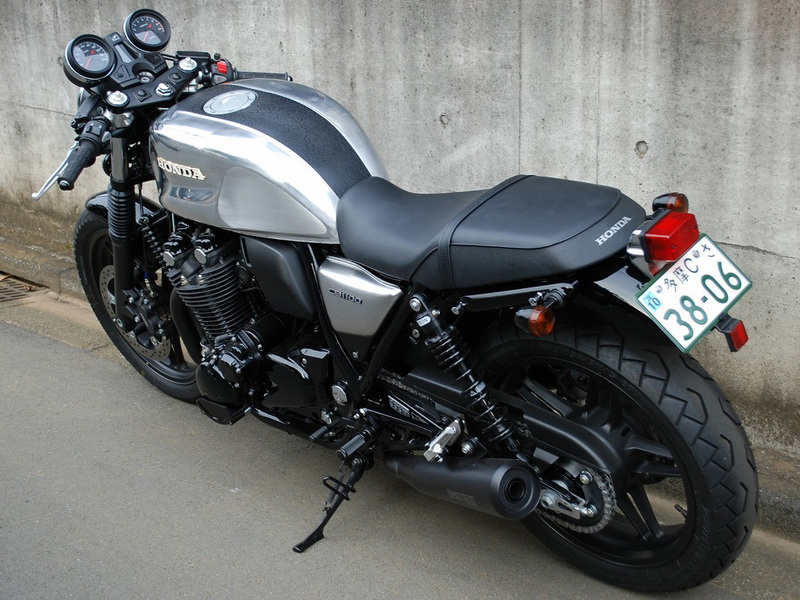 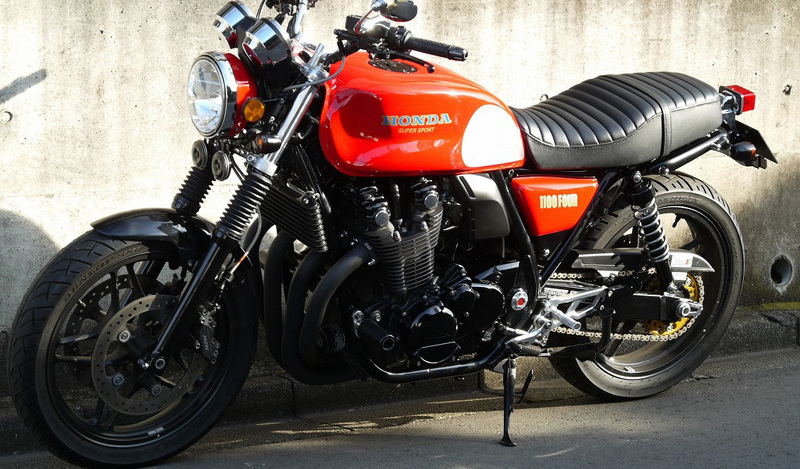 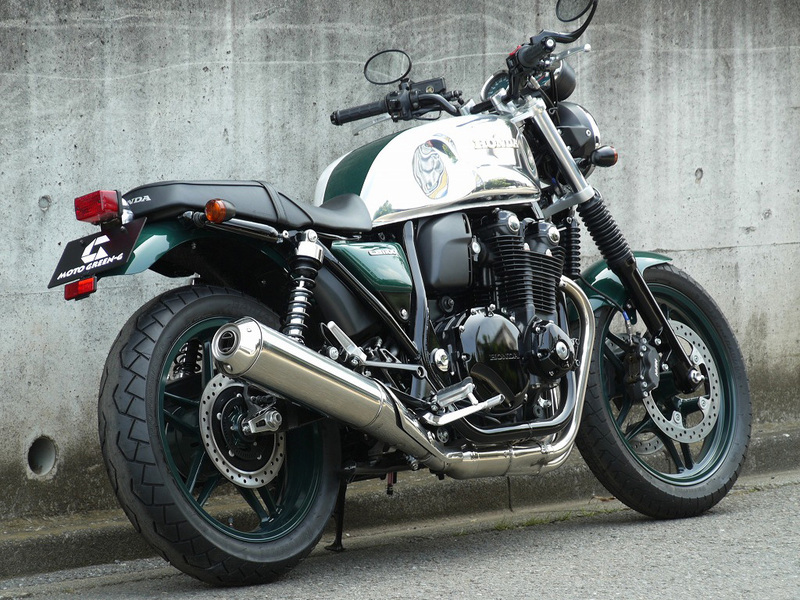 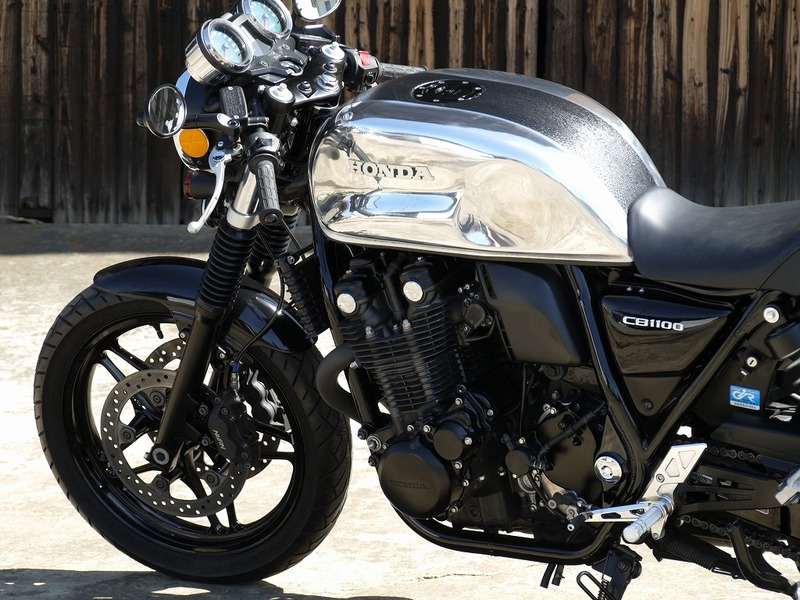 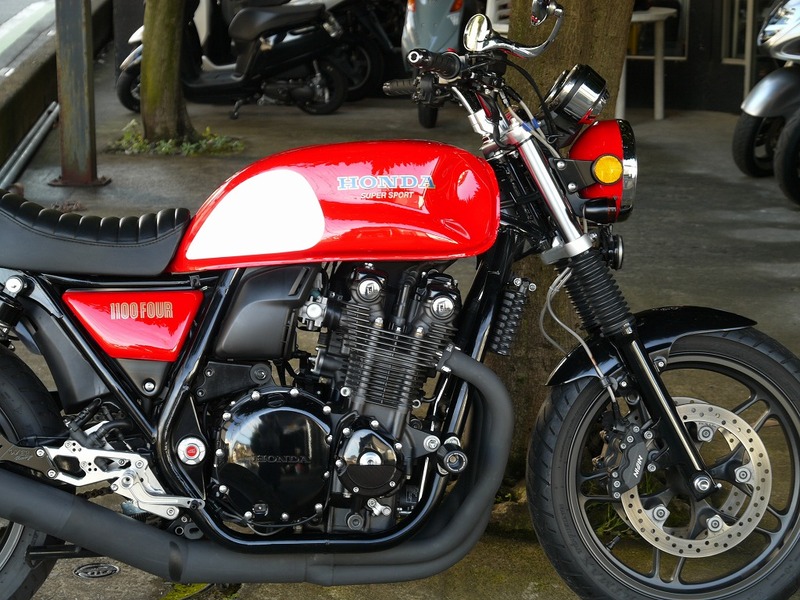 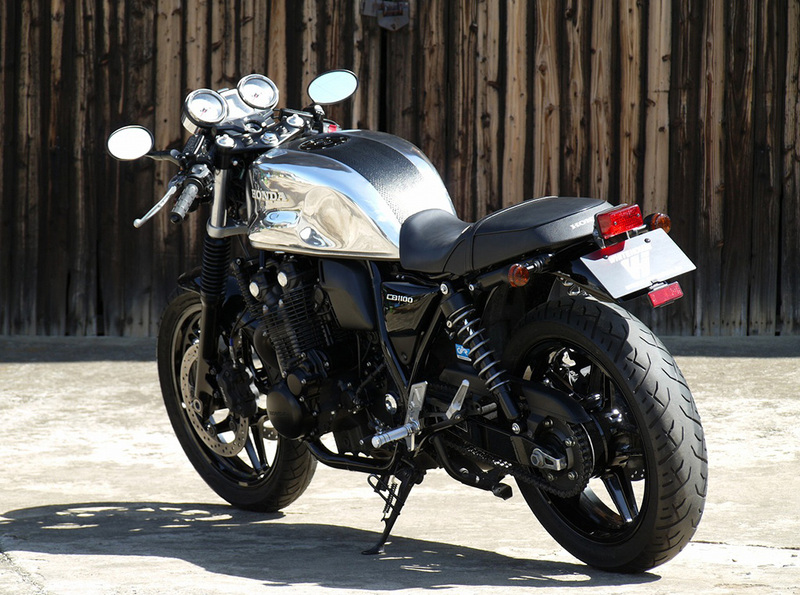 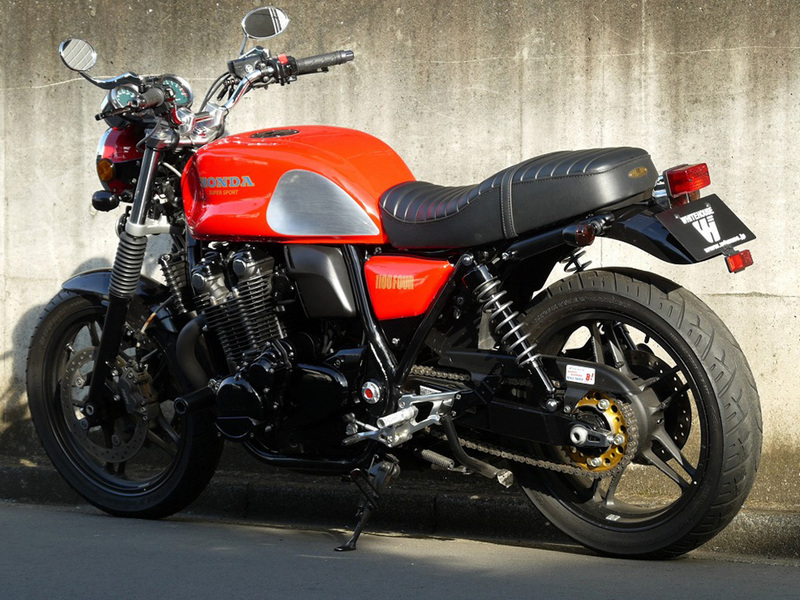 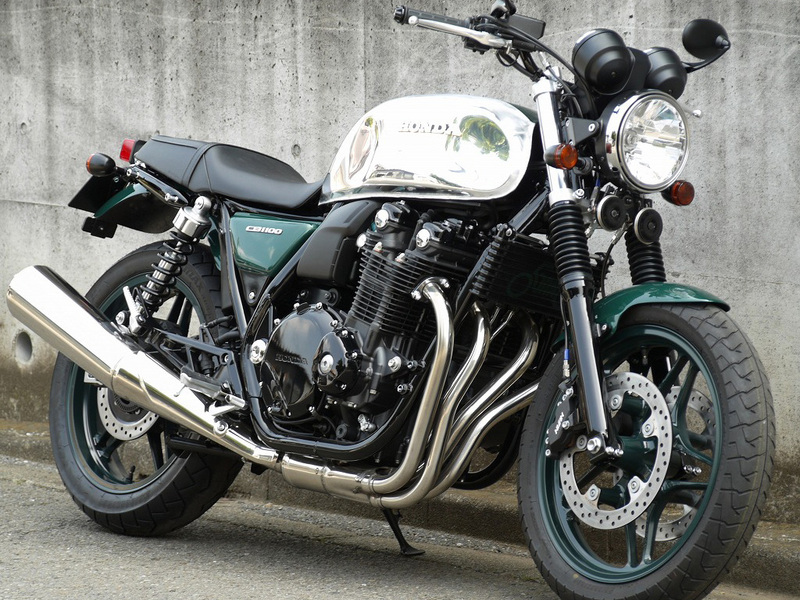 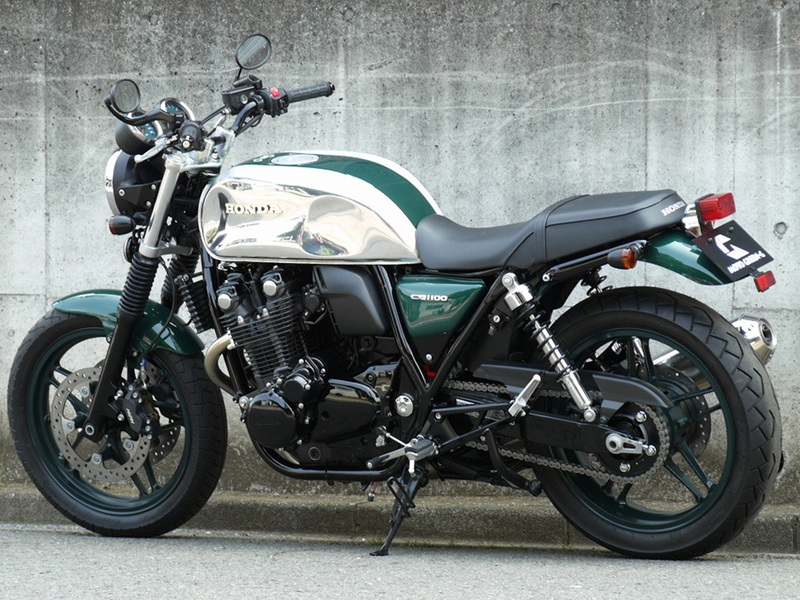 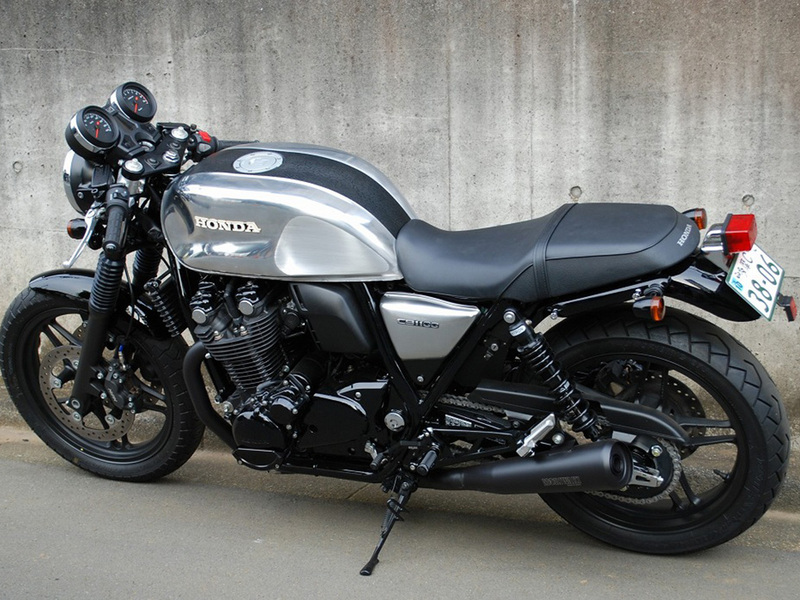 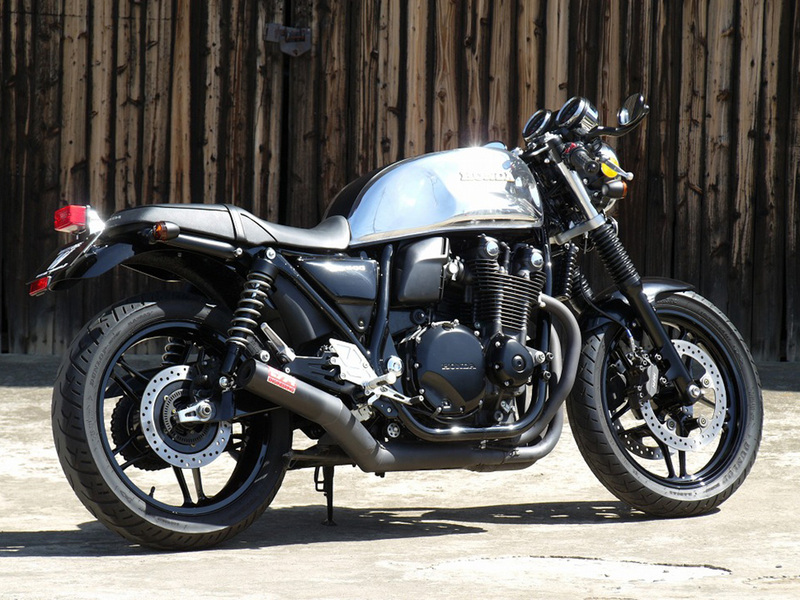 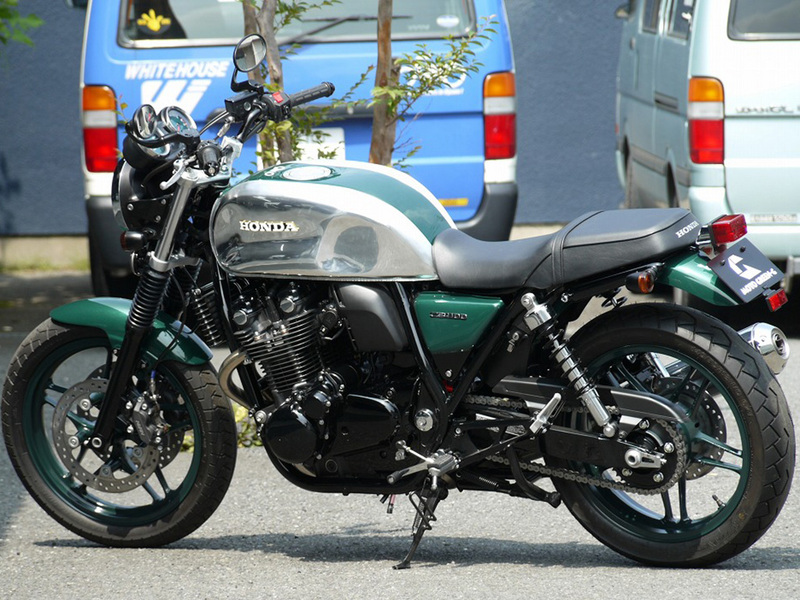 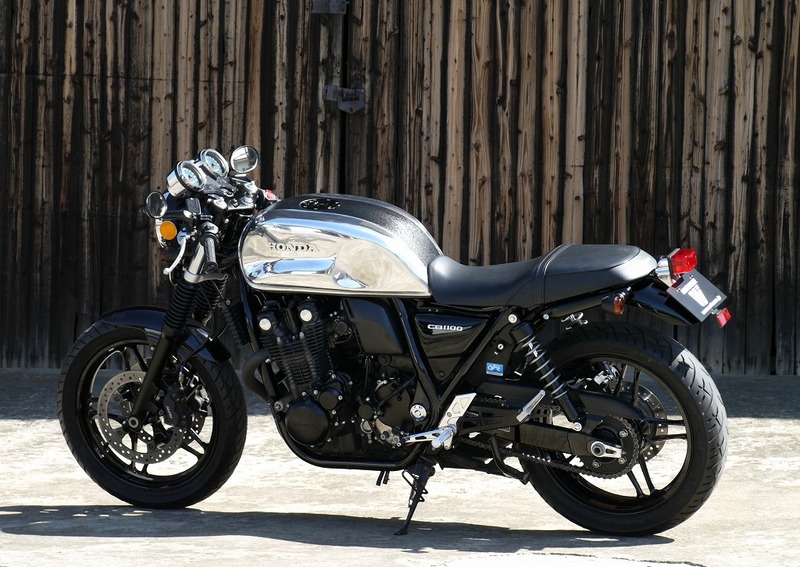 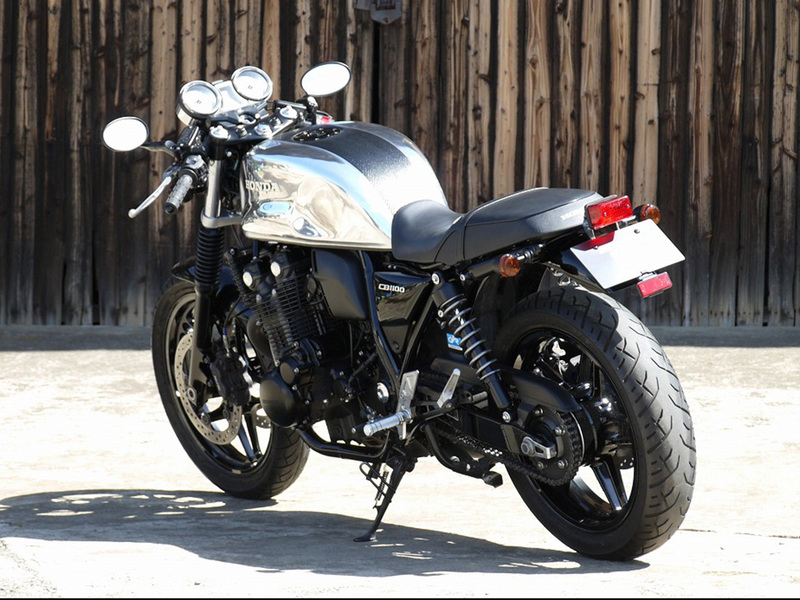 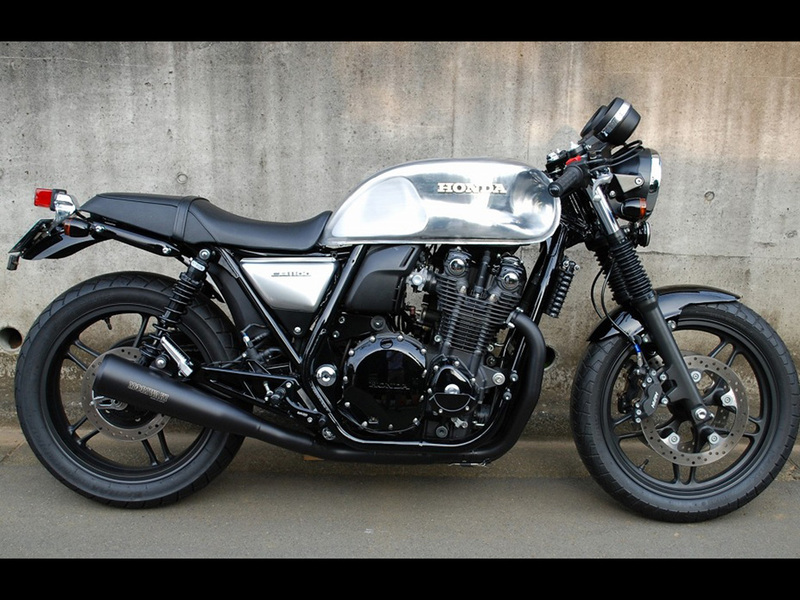 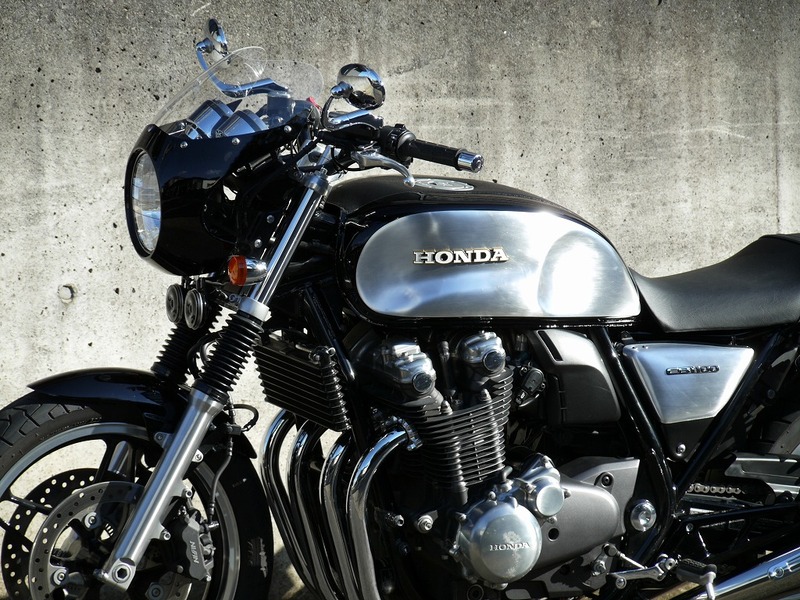 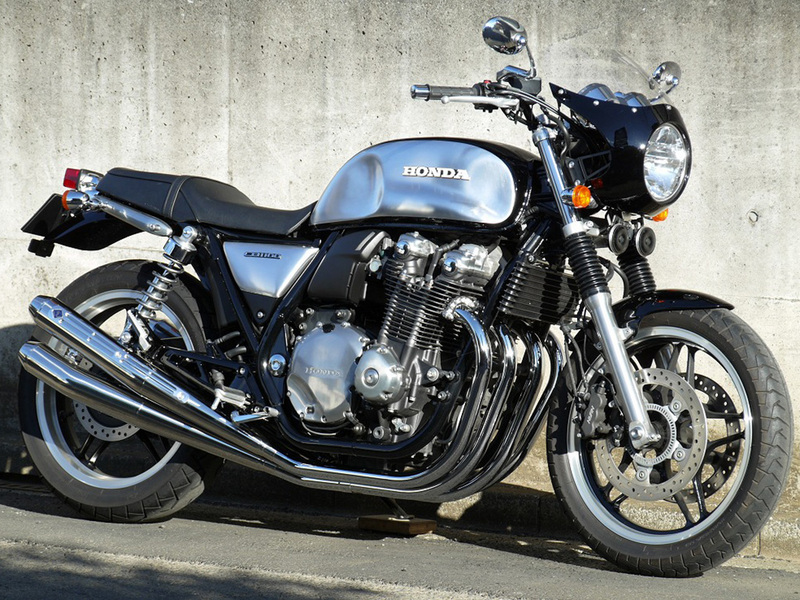 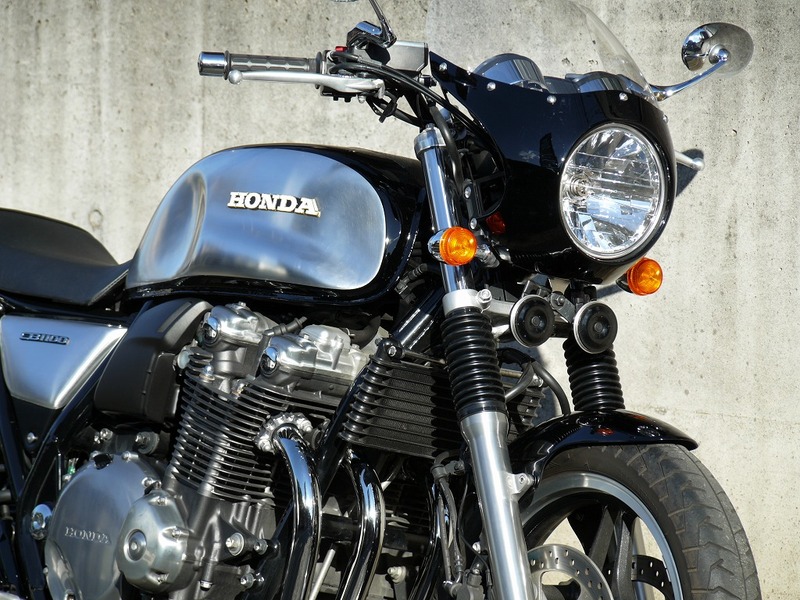 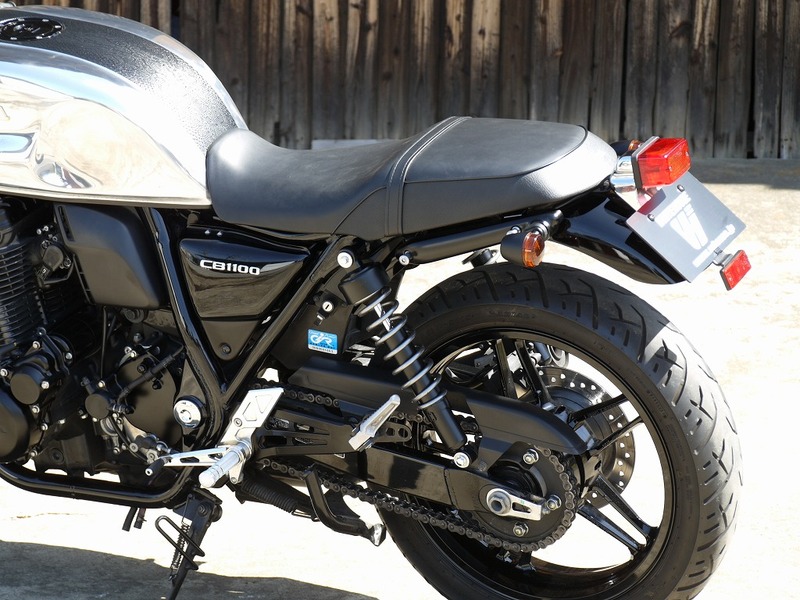 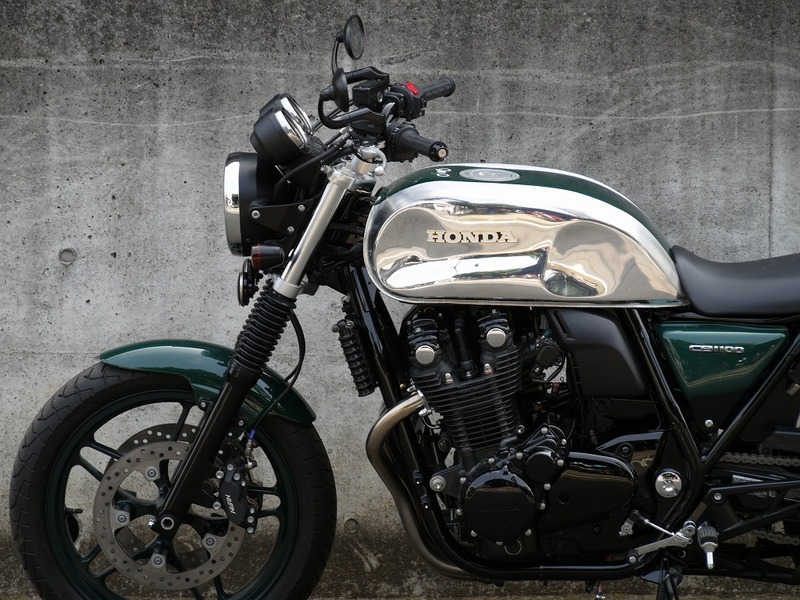 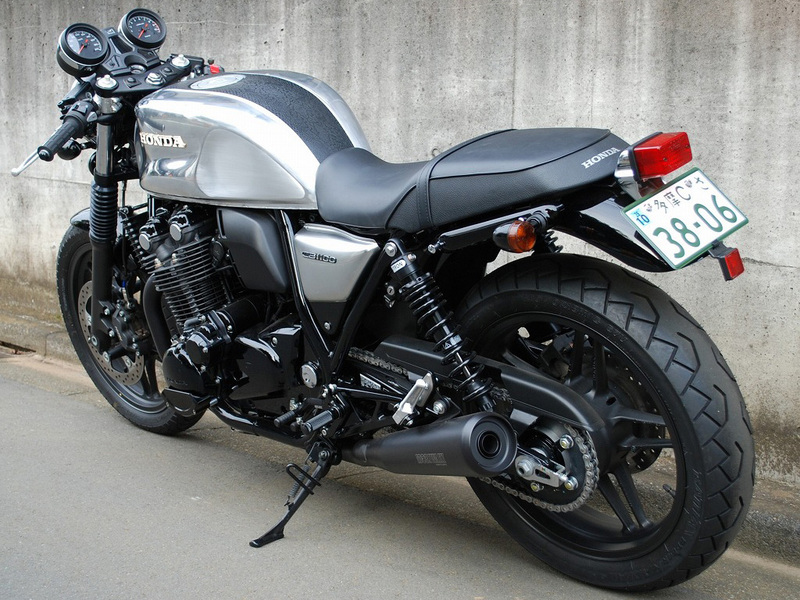 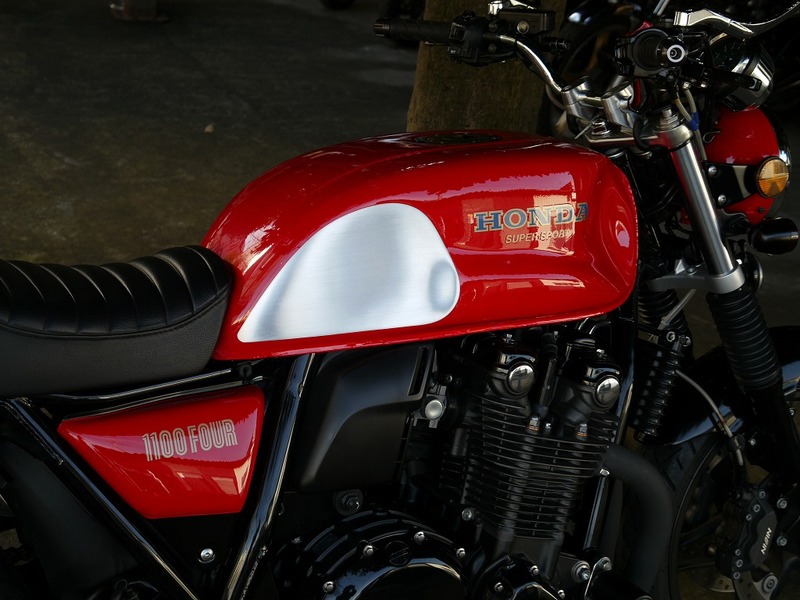 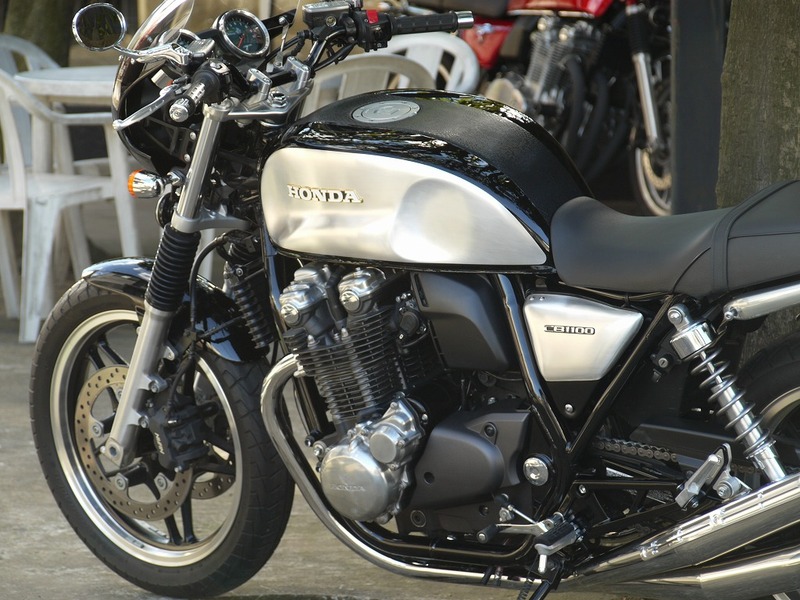 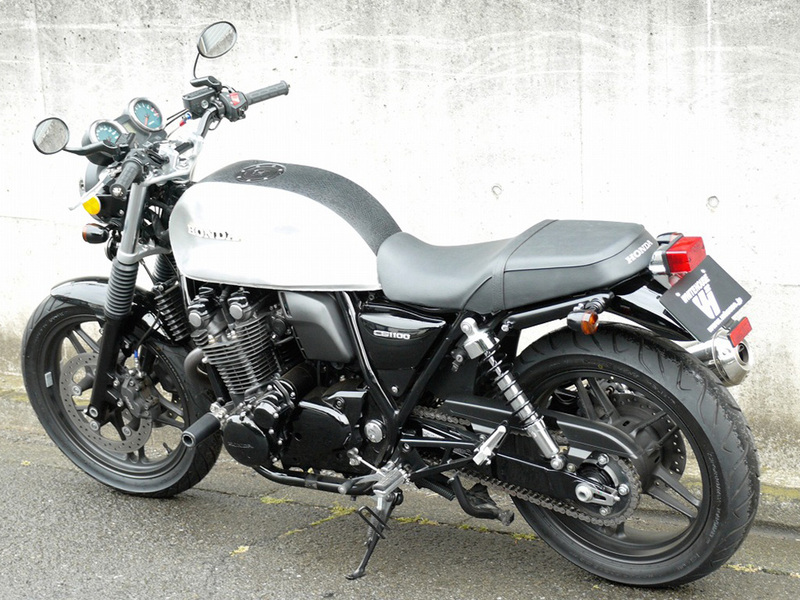 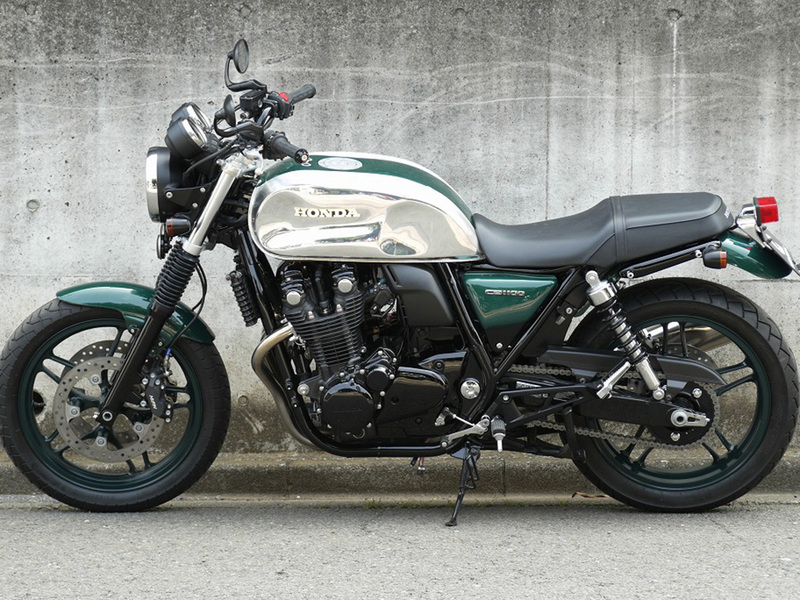 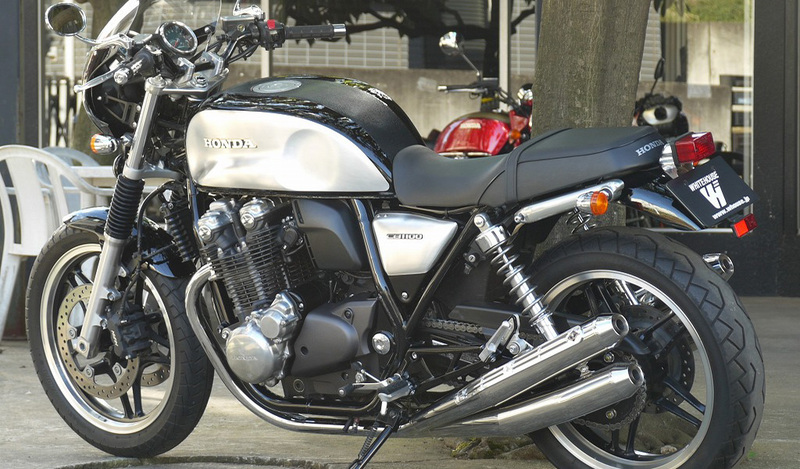 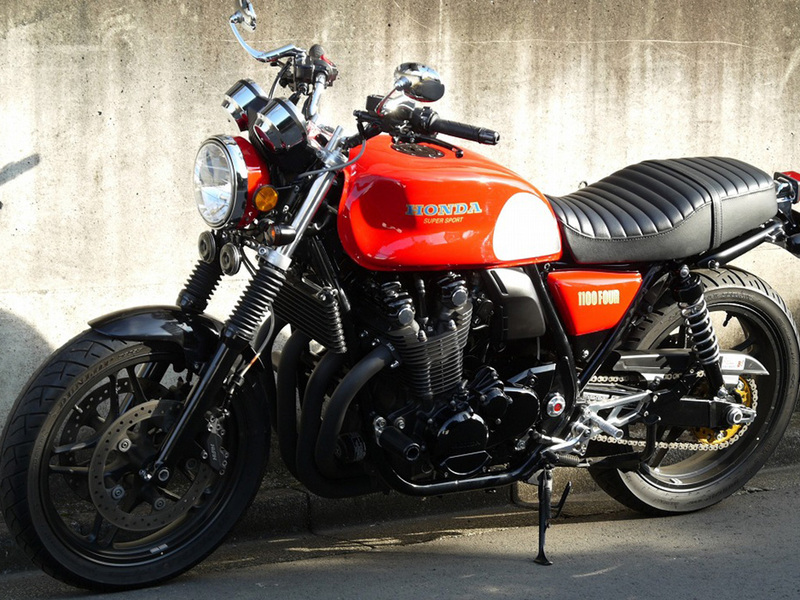 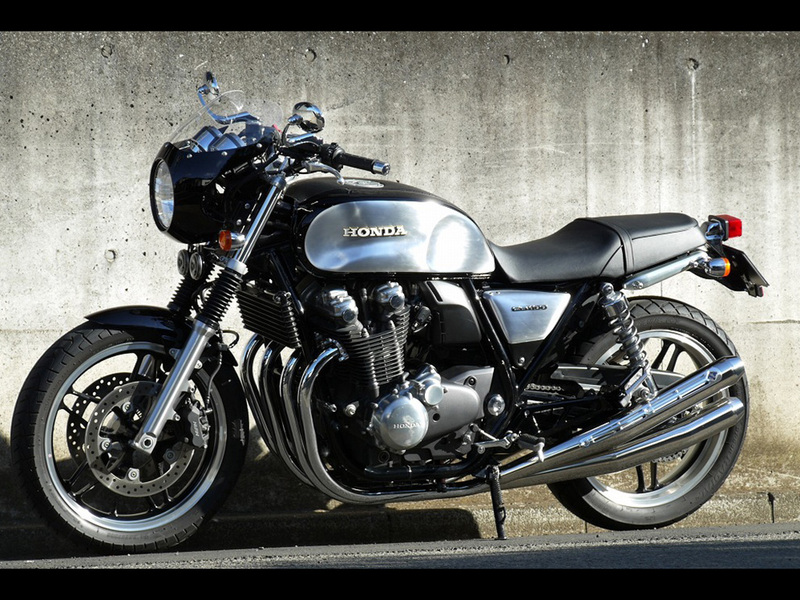 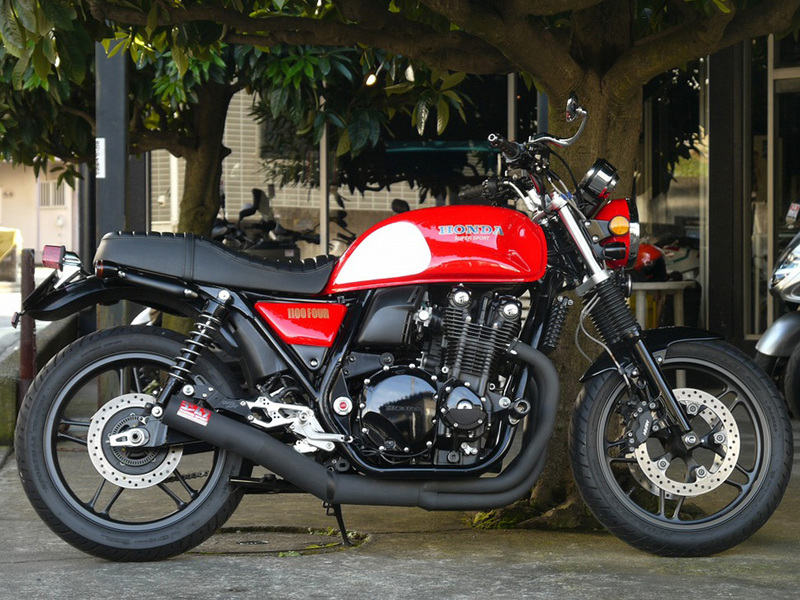 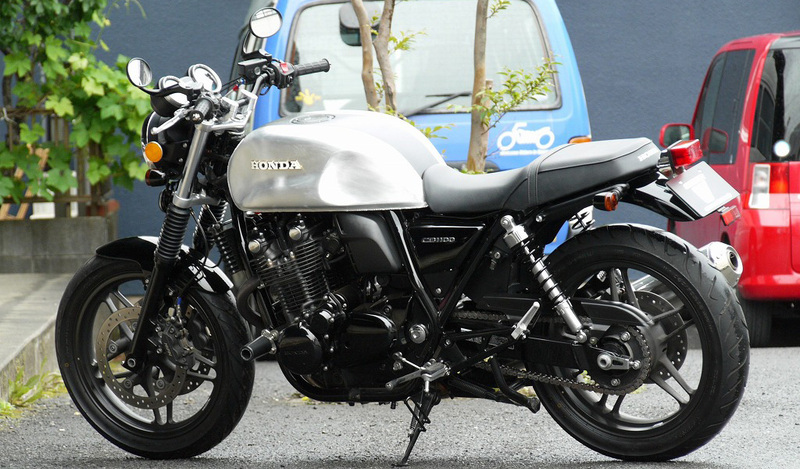 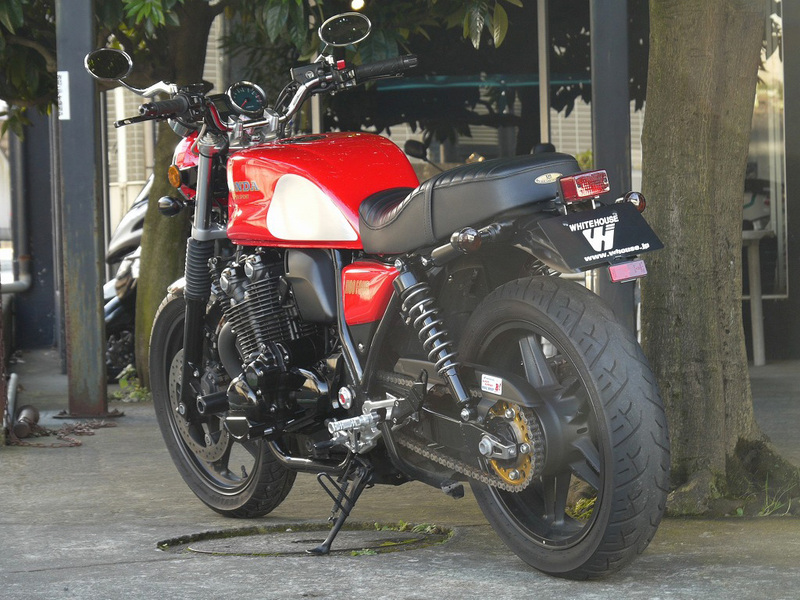 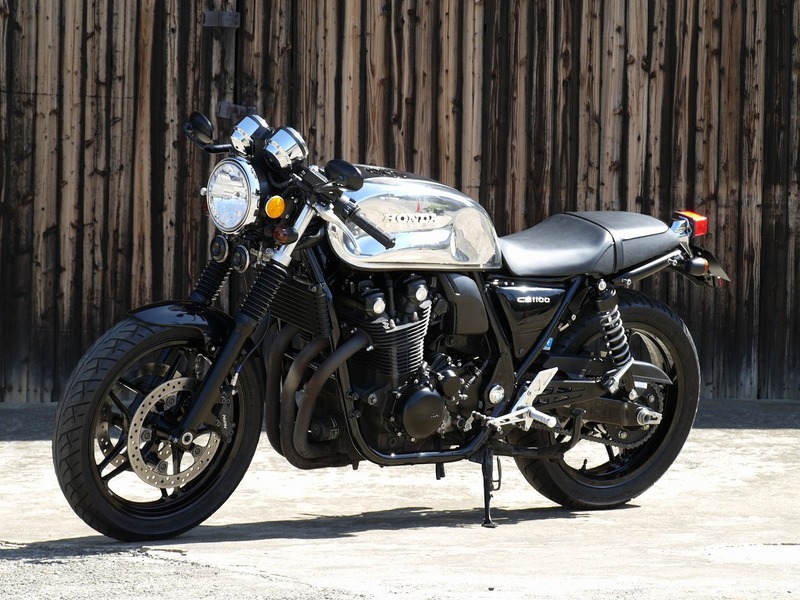 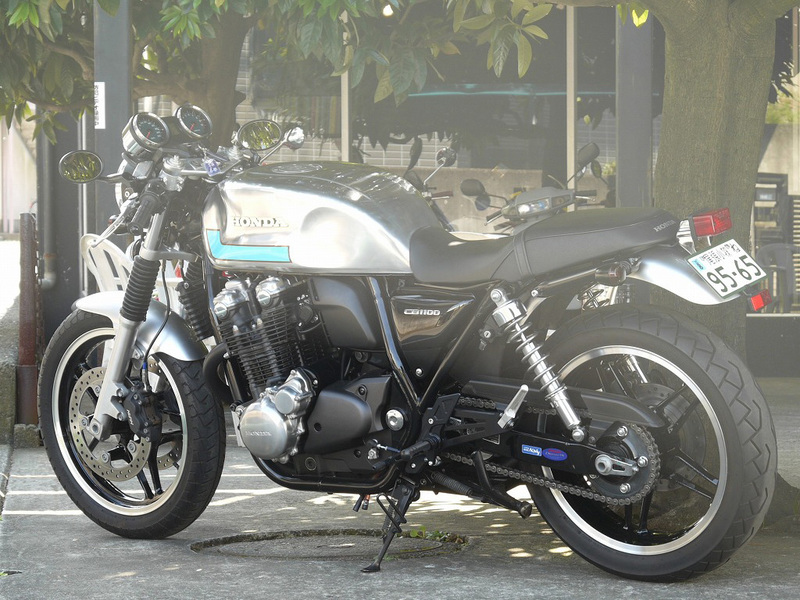 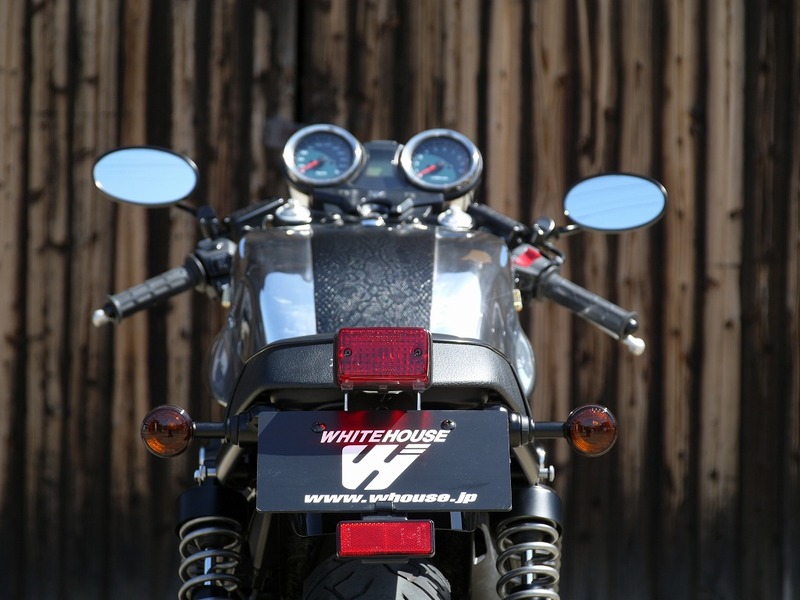 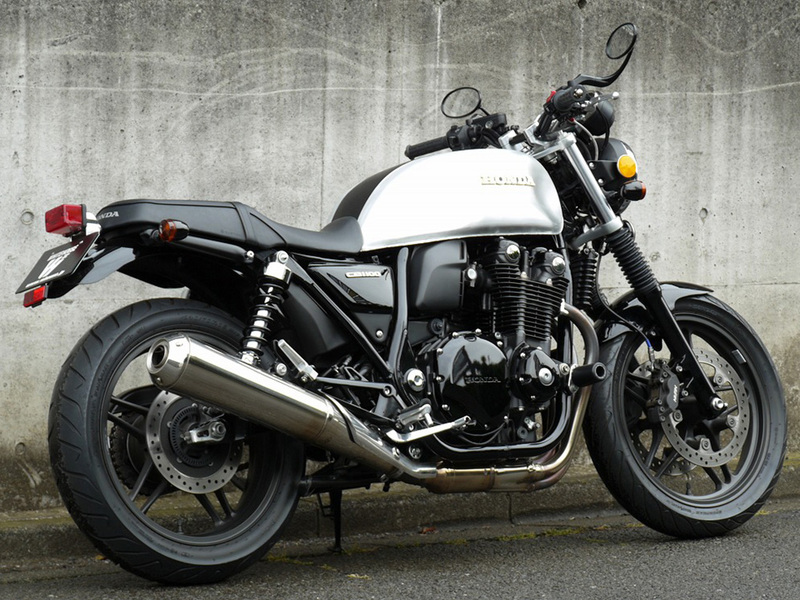 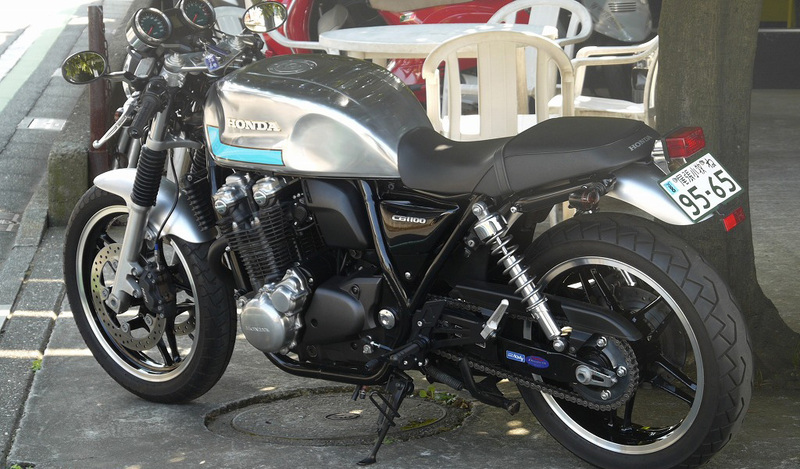 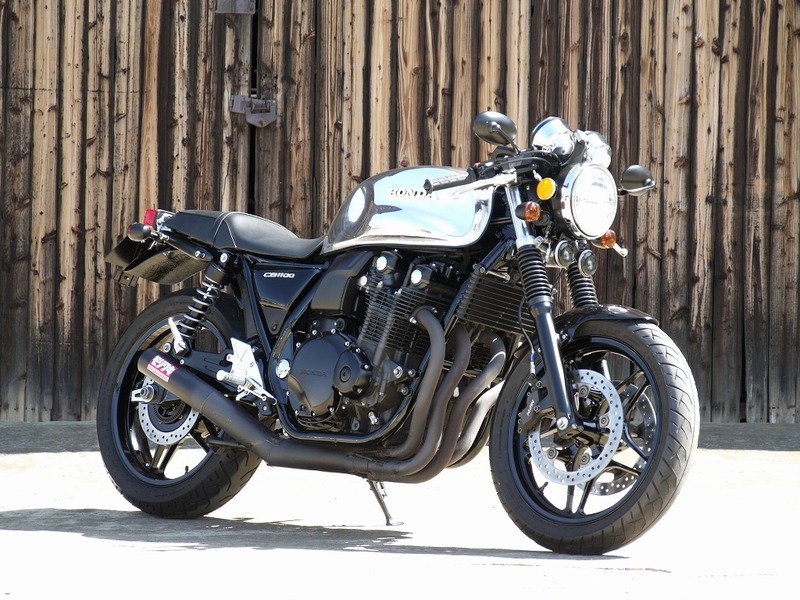 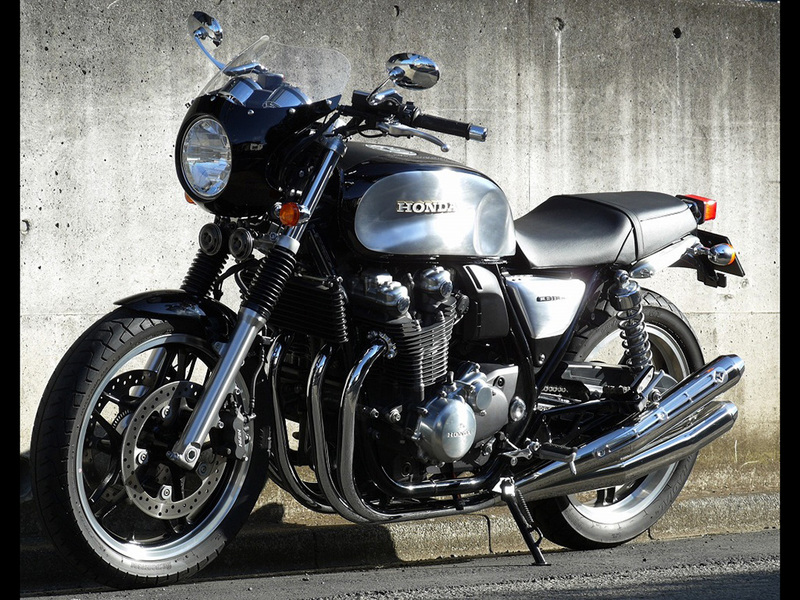 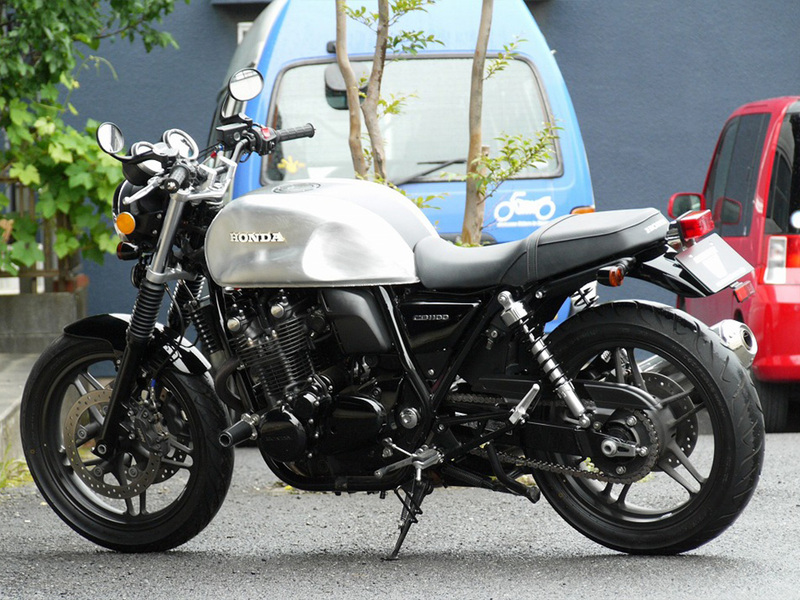 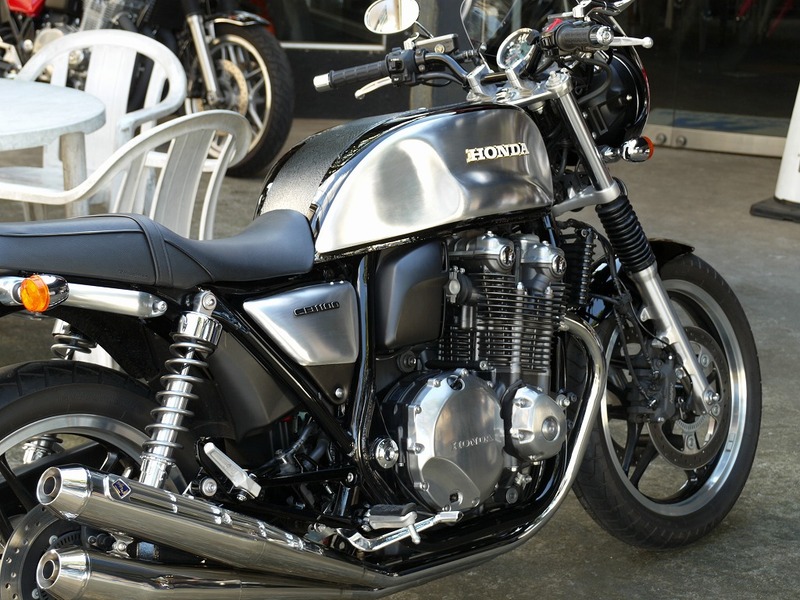 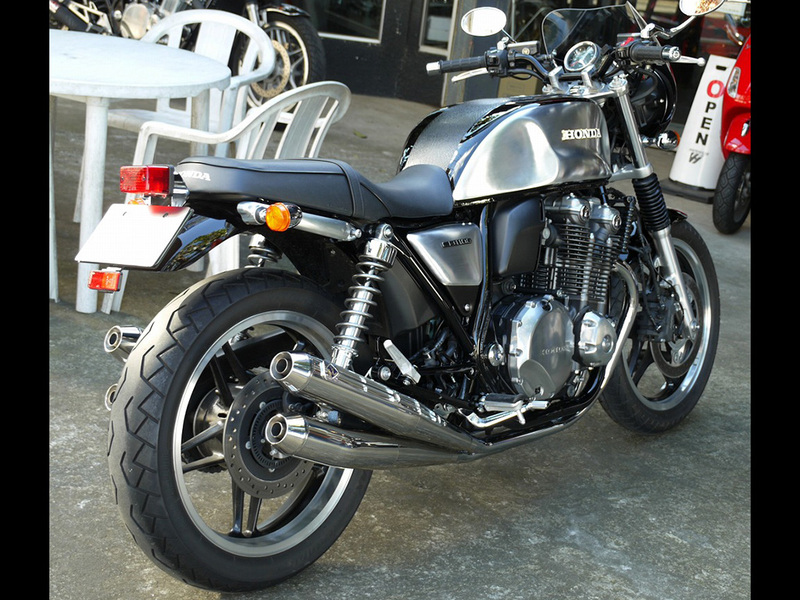 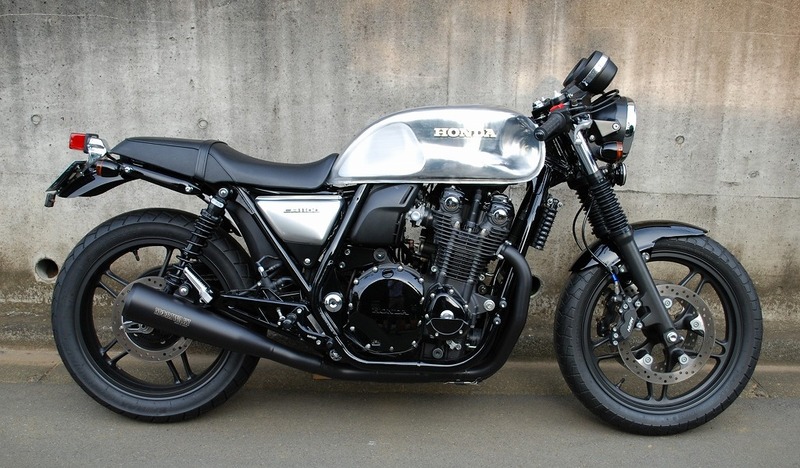 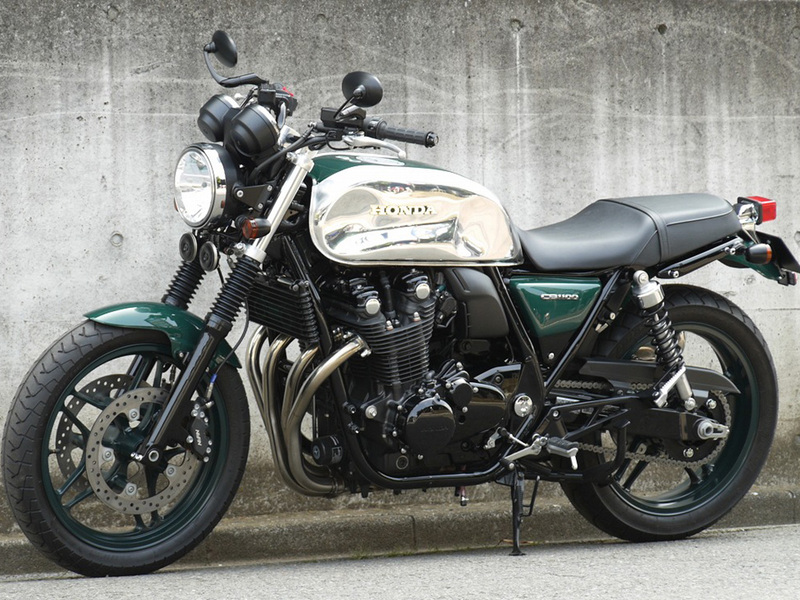 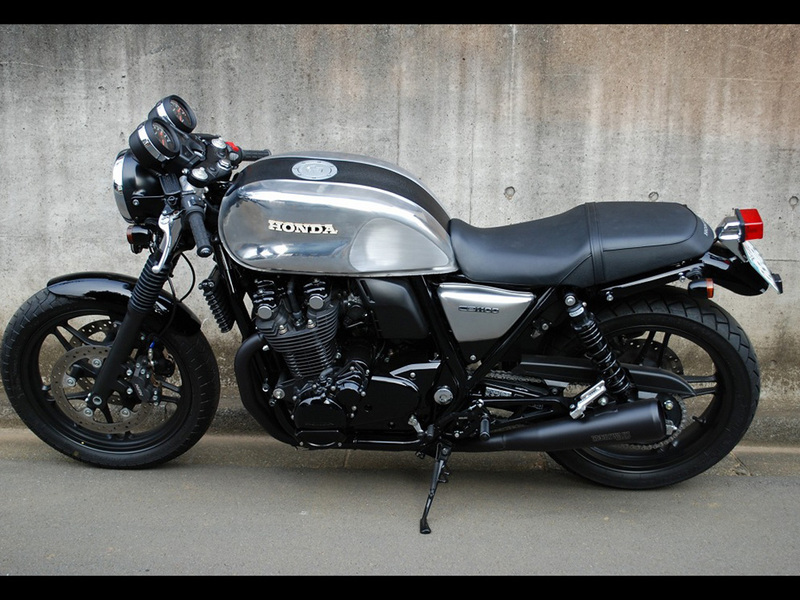 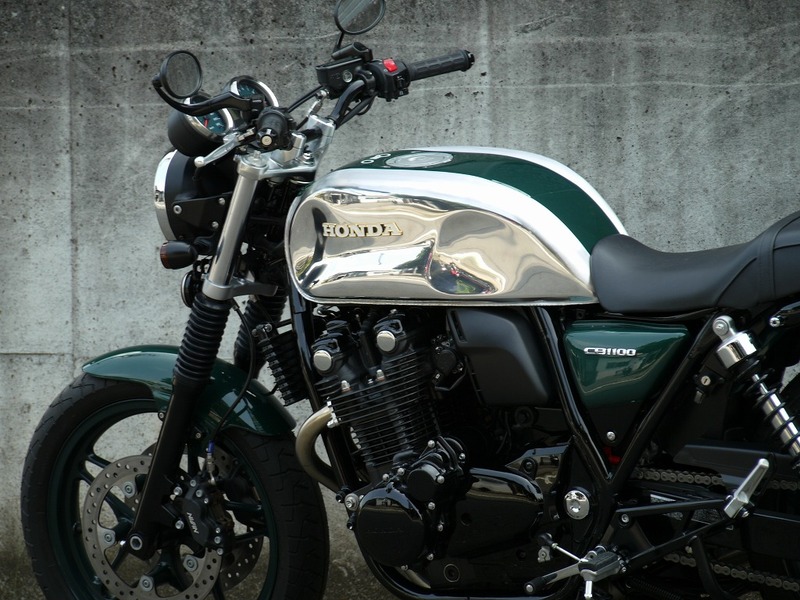 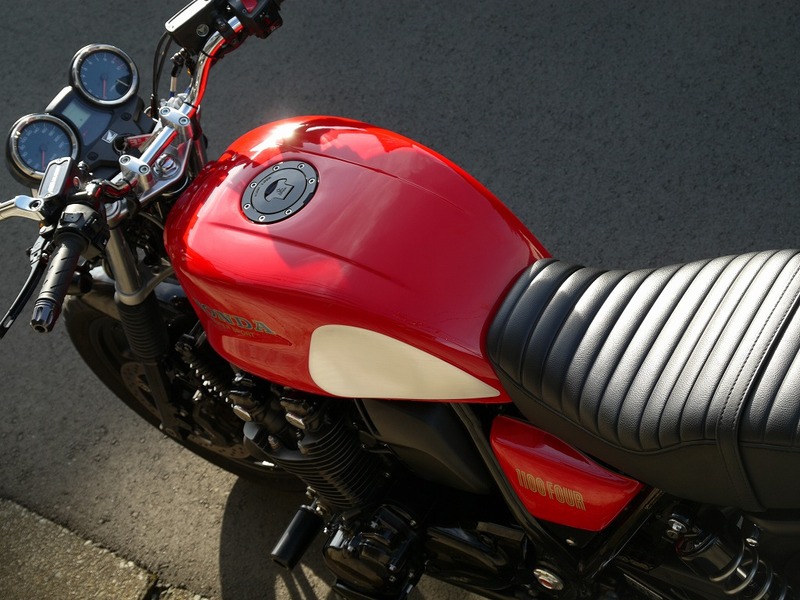 One more thing that Whitehouse proposes is “FUGU cafe”, a CB1100-base model as well. 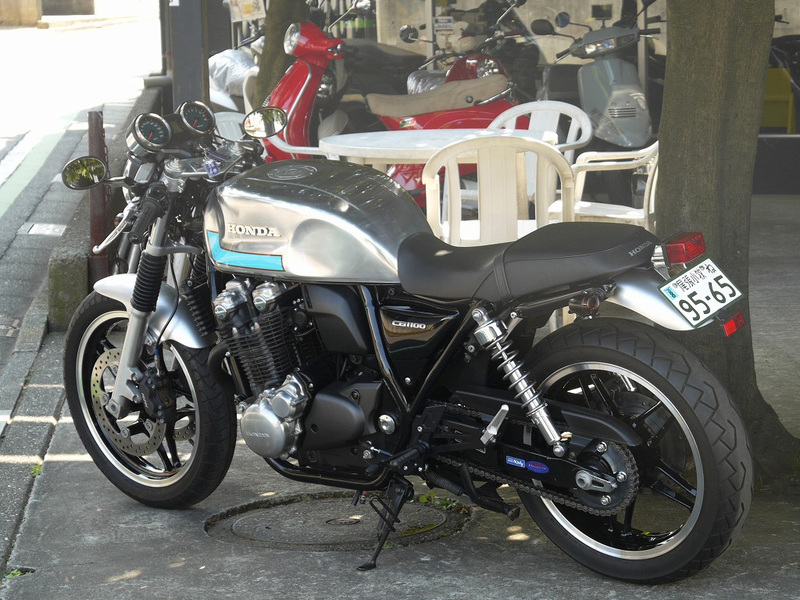 The concepts of “FUGU cafe” are: 1) The shape of trunkfish is similar to an ideal tank of CB1100 naked cafe, 2) With that distinguished features, we would like you to remember this customized motorcycle as “FUGU cafe”, 3) We wish an owner of this motorcycle good luck since a globefish is called “Fuku (good luck)” and considered as a bringer of good luck. 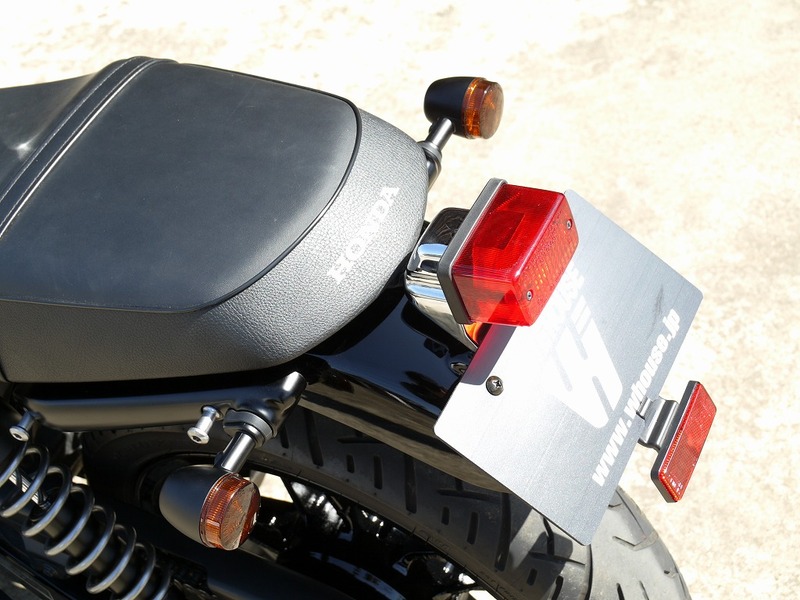 The body shape of trunkfish has superior aerodynamic characteristic and strength and enables large capacity. 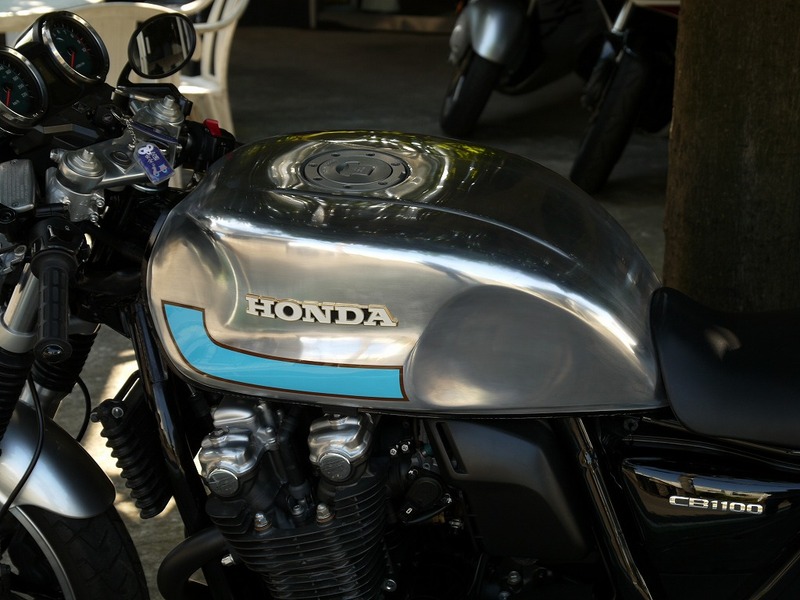 While being careful not to be over-designed by putting the emphasis on styling, we designed it to have a tank silhouette that can be recognized as “FUGU Cafe” immediately. 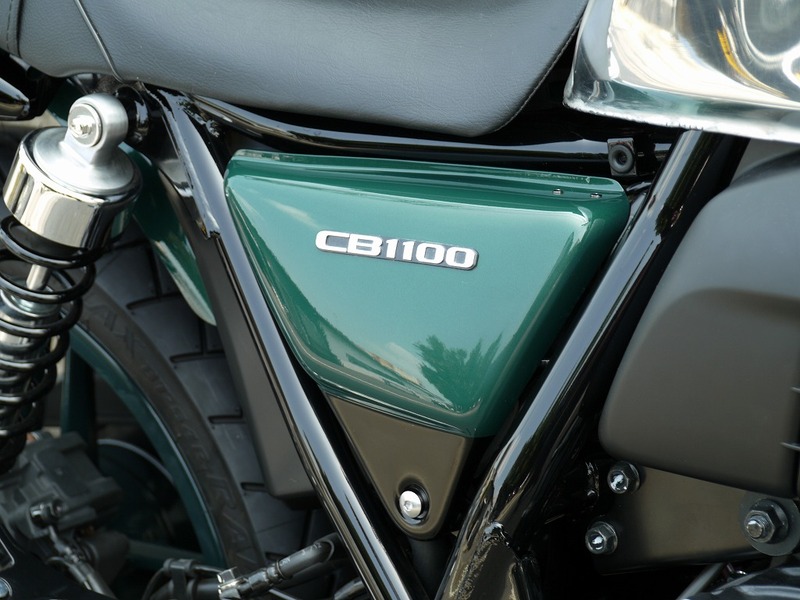 Mercedes-Benz once presented the concept of the low-fuel, low-emission bionic car that they developed with the idea of “trunkfish” at “DaimlerChrysler Innovation Symposium” held in Washington in 2005. 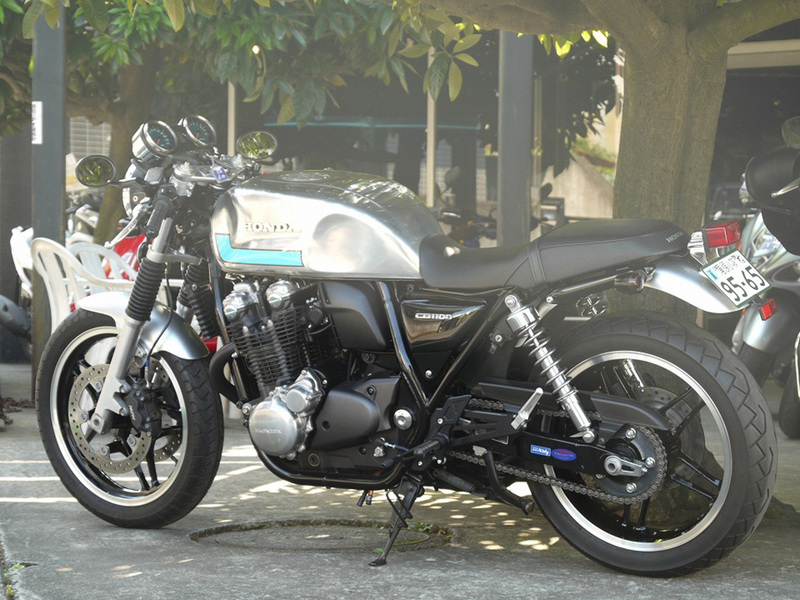 As the name suggests, a trunkfish has a streamline, aerodynamic shape, even having a boxy shape. 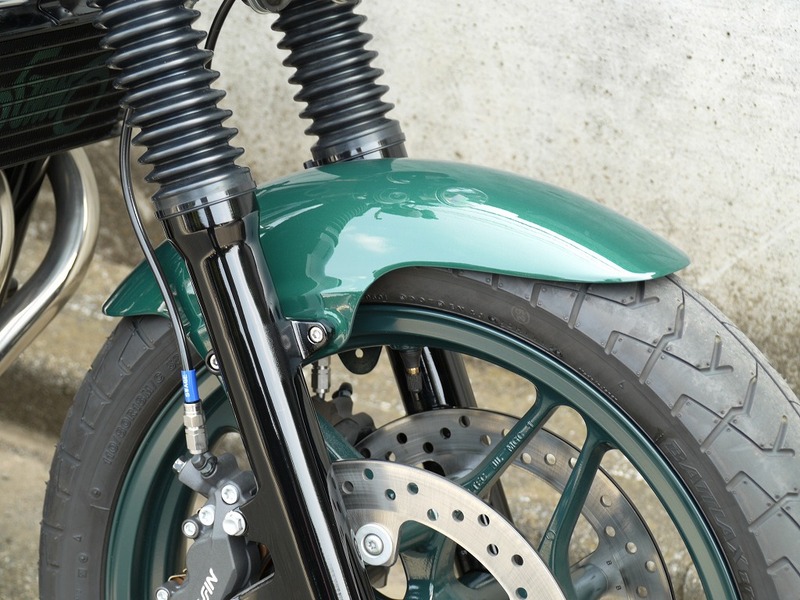 According to them, with the structure copied the fish’s exoskeleton, the bionic car achieved the improvement in body rigidity and light weighting at the same time, and they succeeded in reducing its weight by 1/3 compared to the previous structure without losing its strength and collision safety. 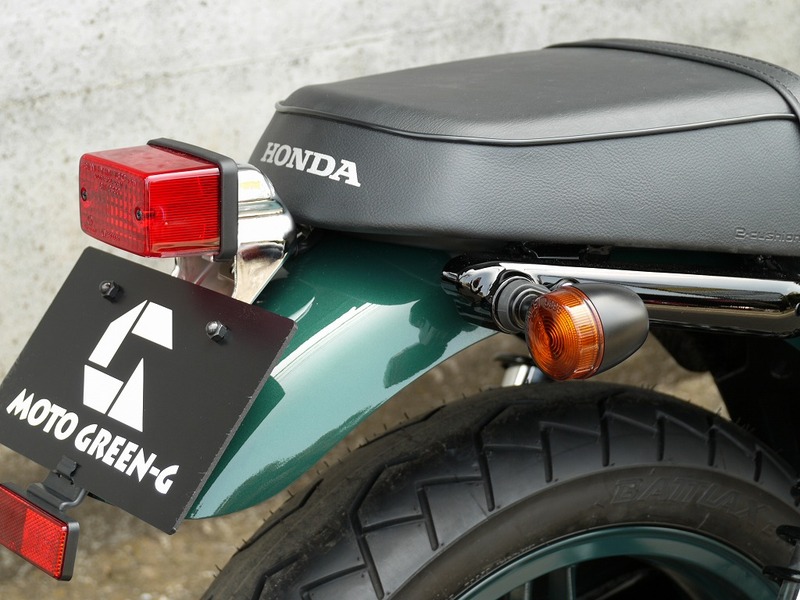 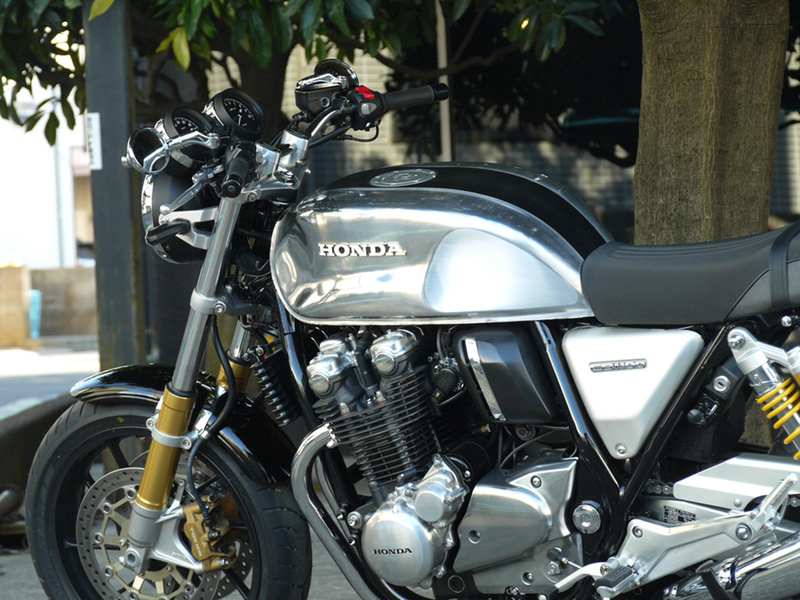 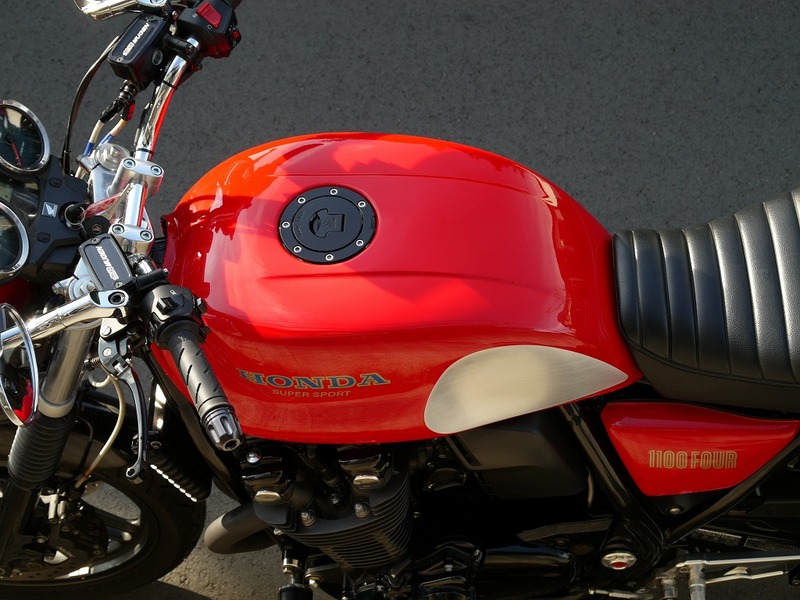 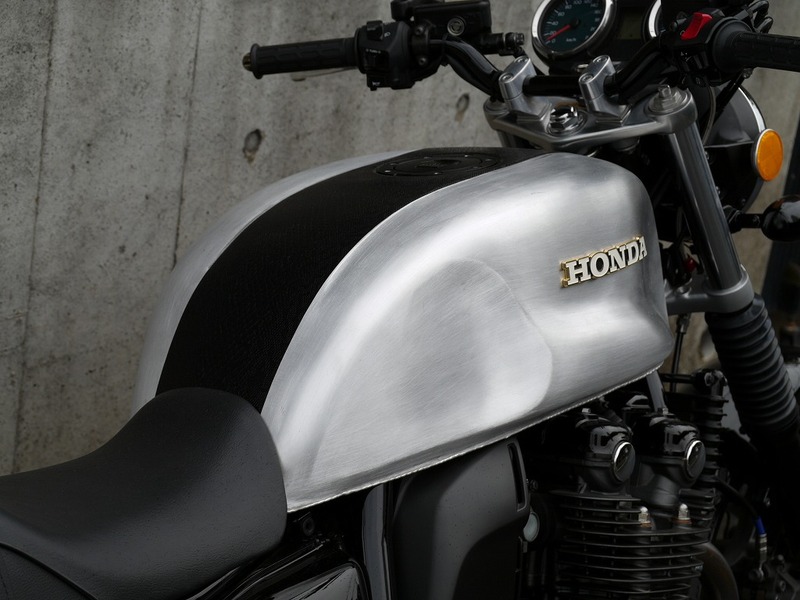 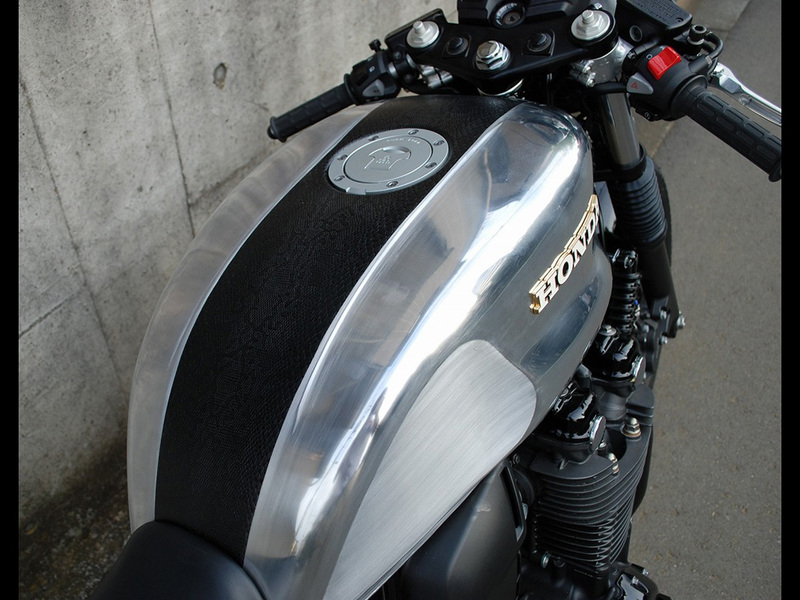 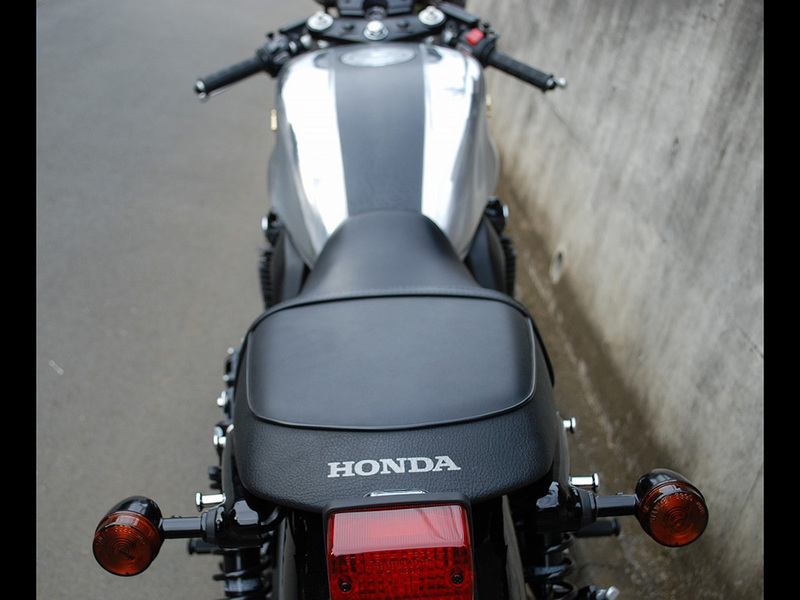 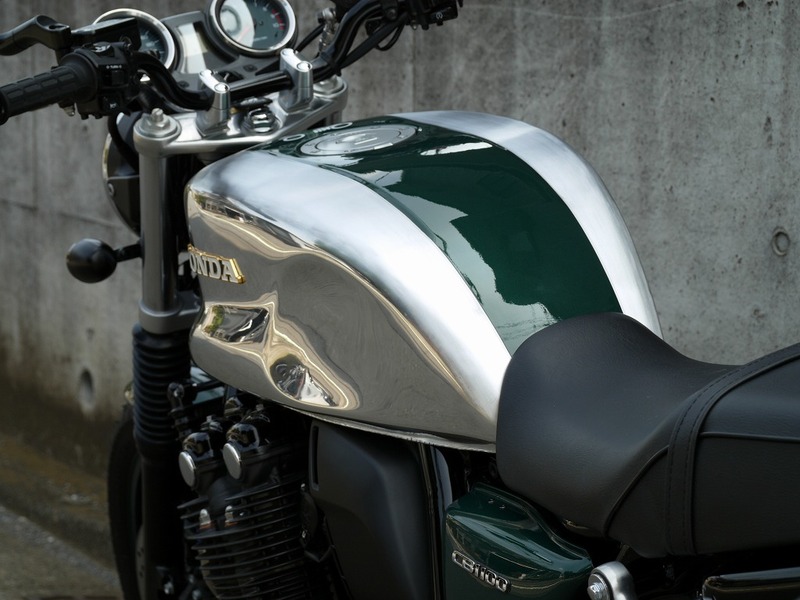 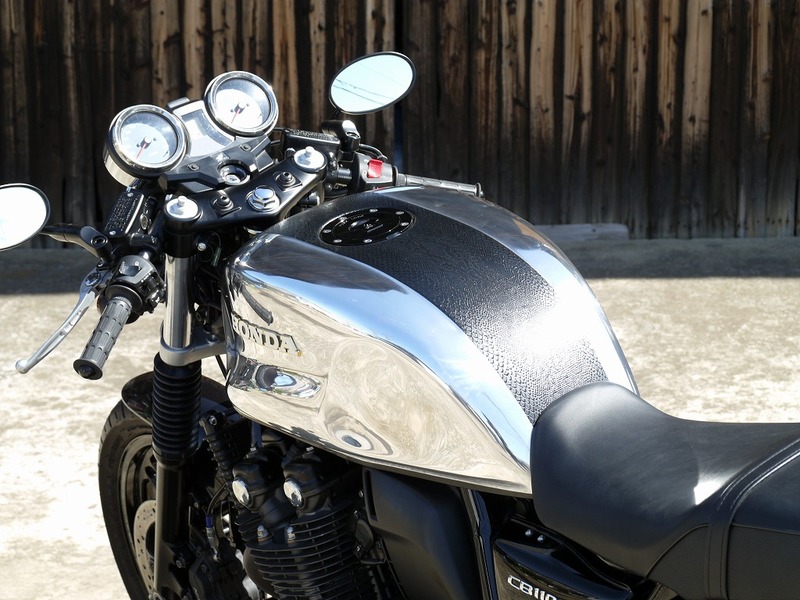 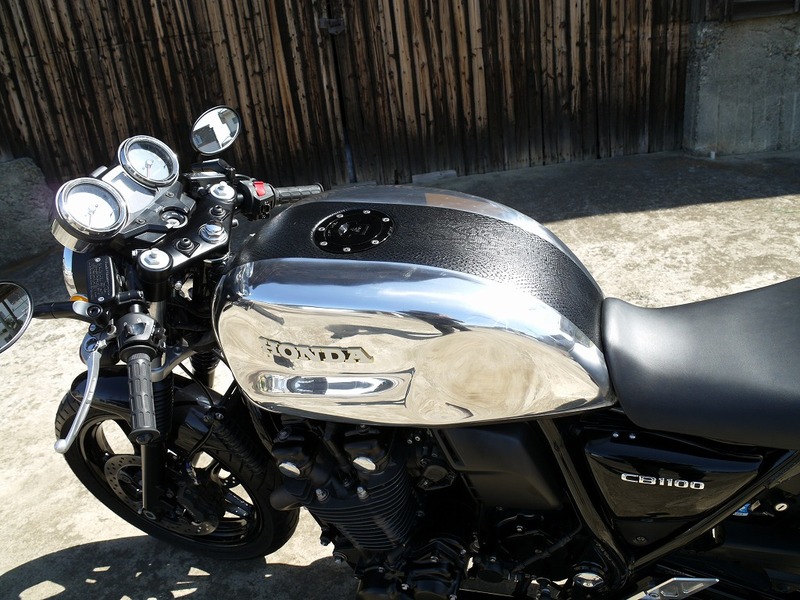 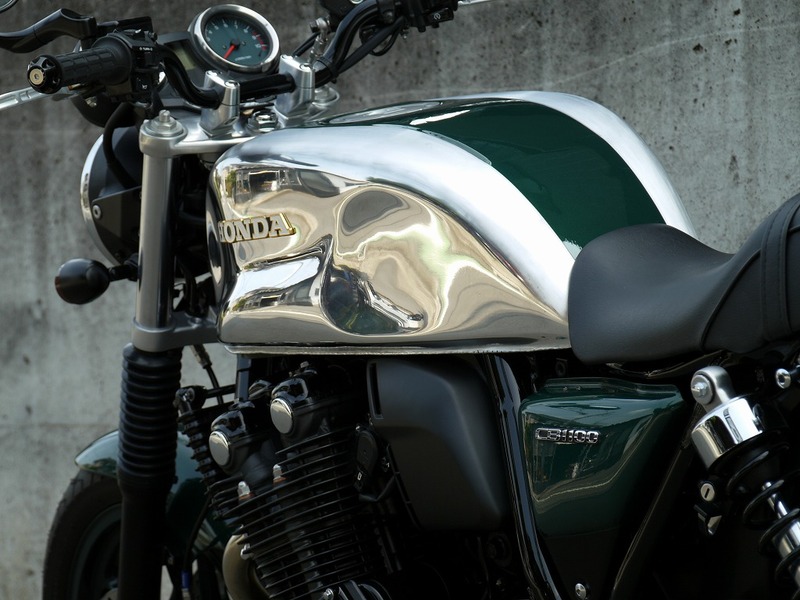 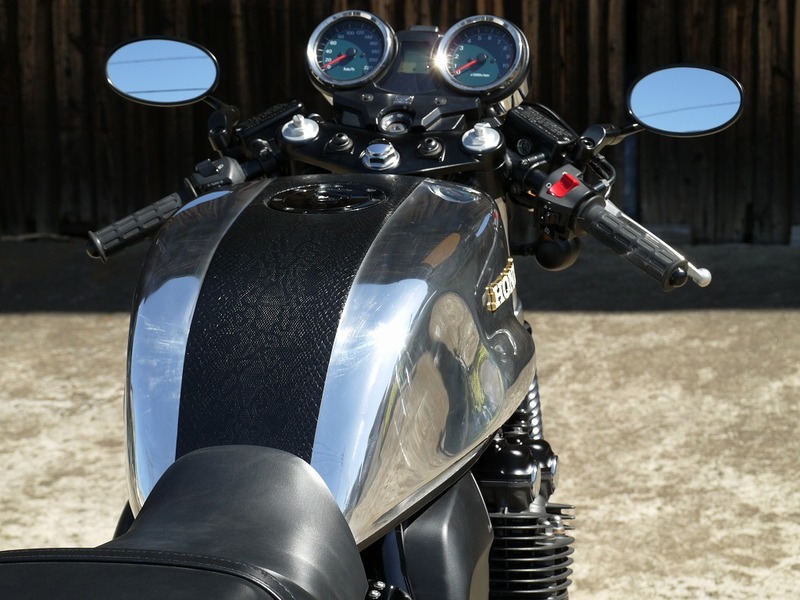 Fugu Cafe Racer Gas Tank:272000-Yen *Aluminum made,16 liters/4.2 gallons *including HONDA emblems. 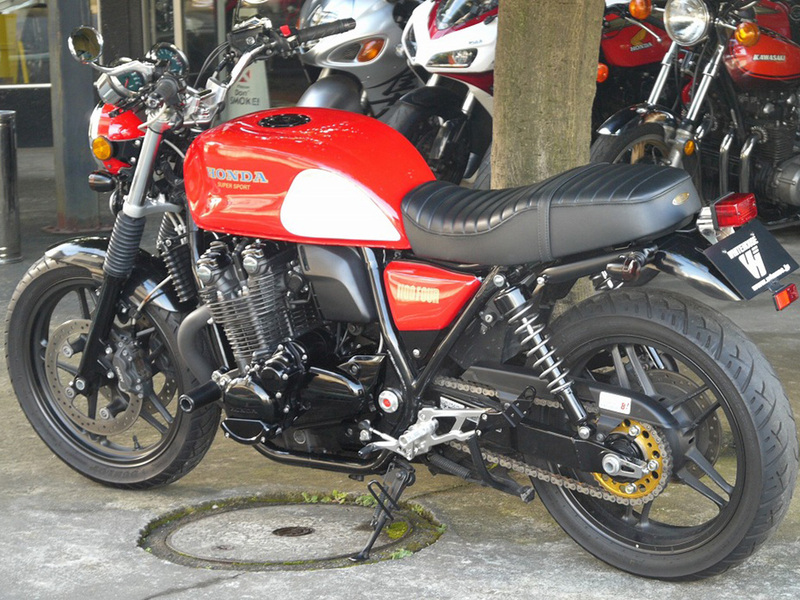 *distributor set up may be applied for dealers, contact us for more details.